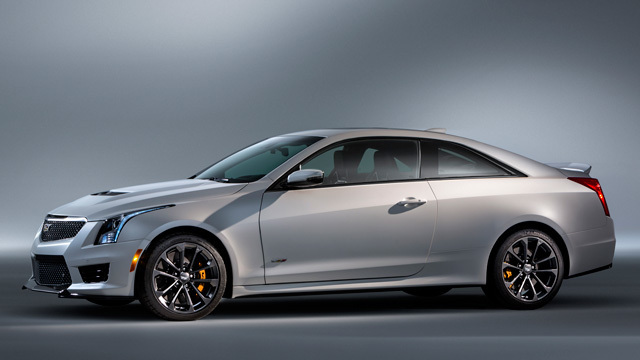 One year after launching the first-generation ATS compact sport-luxury coupe, Cadillac introduces the high-performance ATS-V variant of the ATS Coupe. 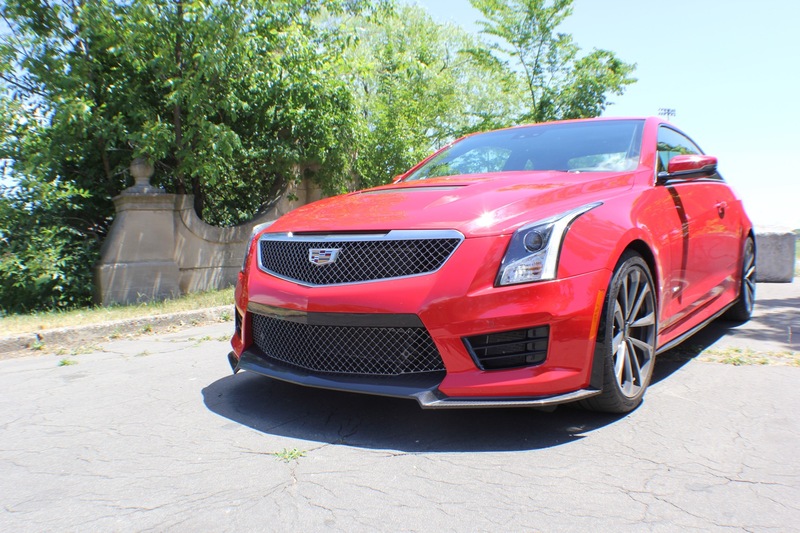 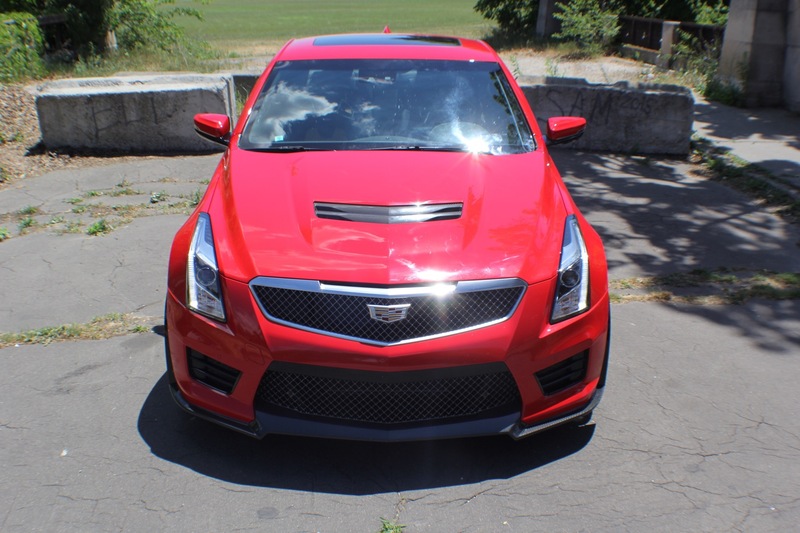 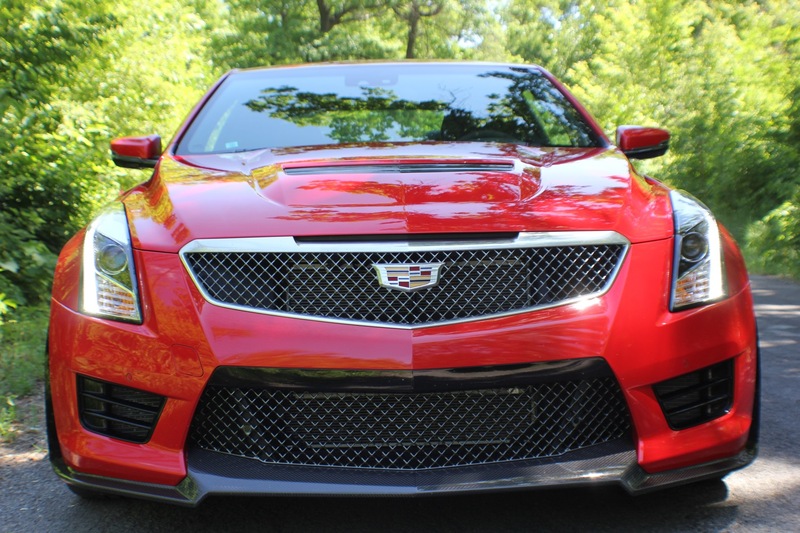 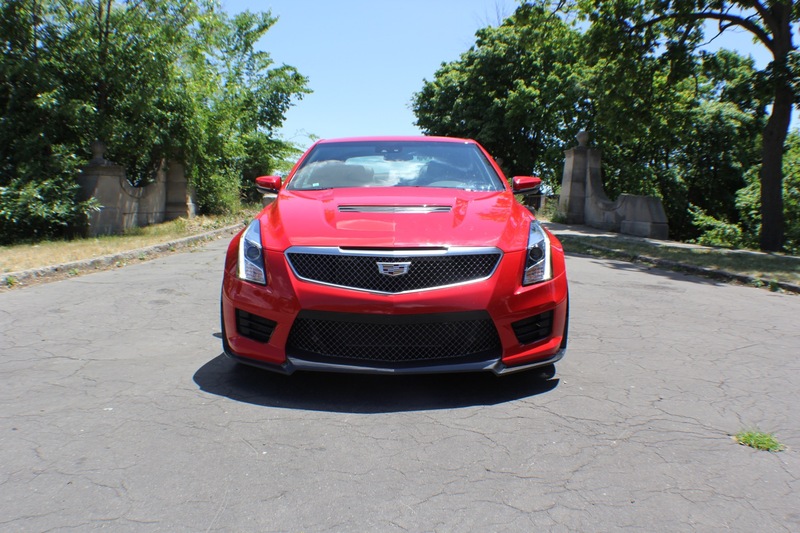 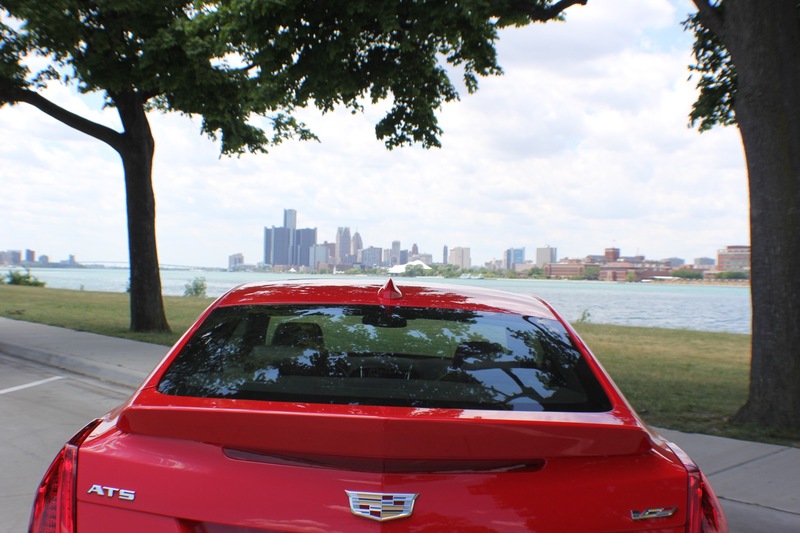 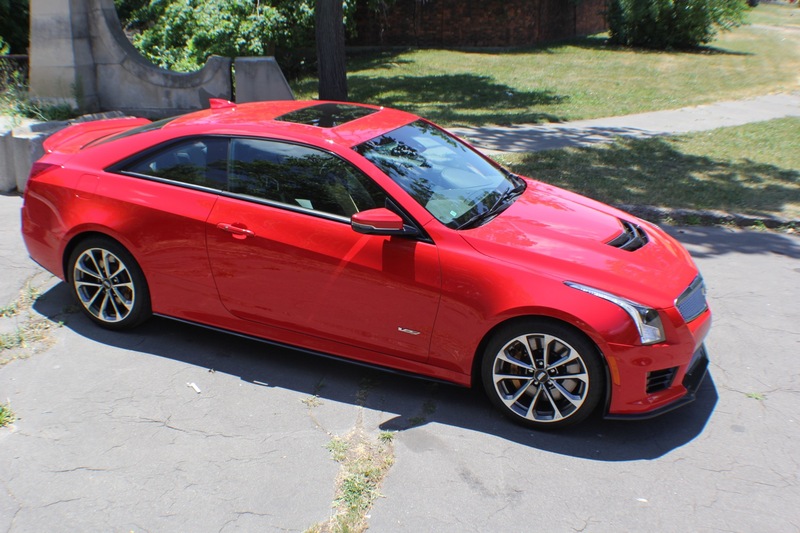 The 2016 ATS-V Coupe represents a noteworthy expansion of the acclaimed ATS range, bringing the brand’s elite high-performance V-Series to the ATS compact sport-luxury coupe family. 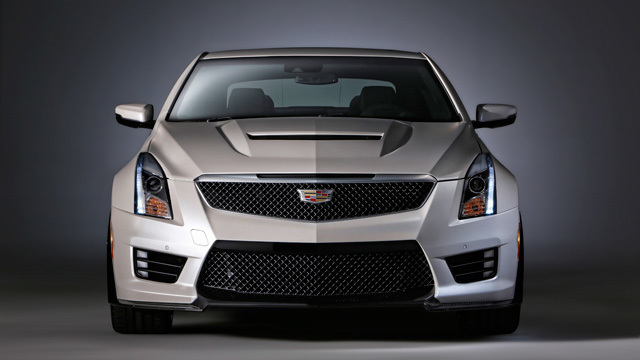 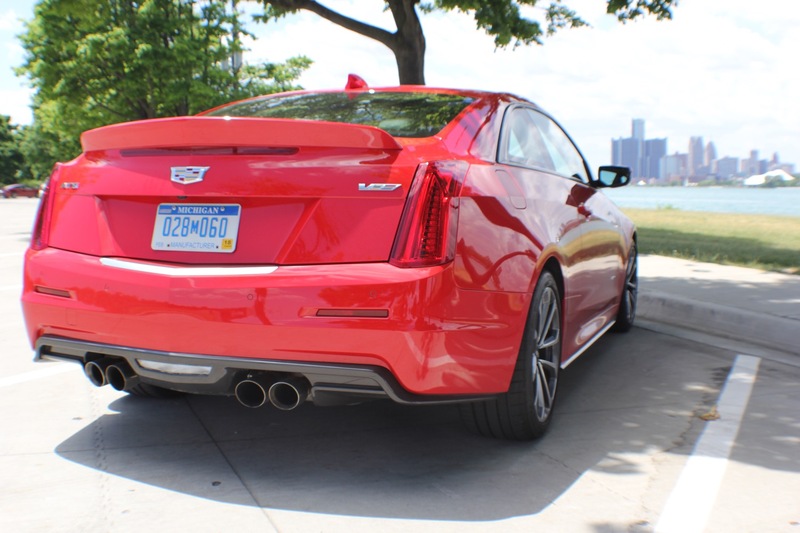 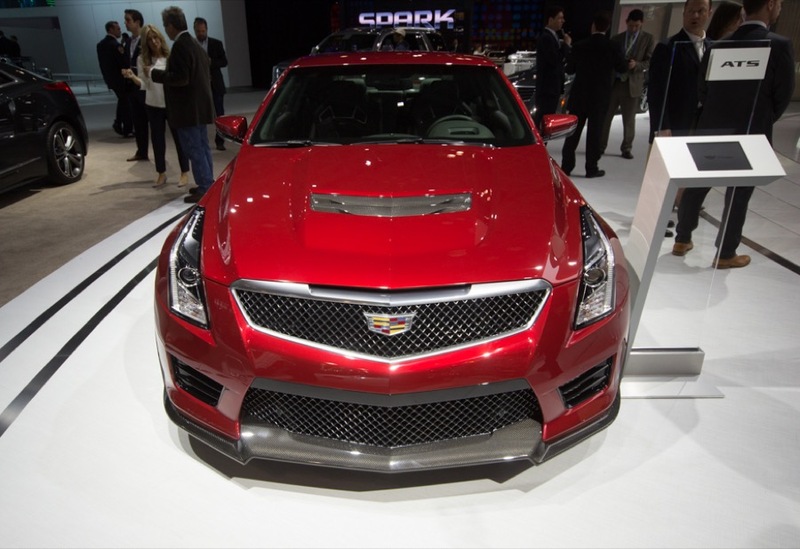 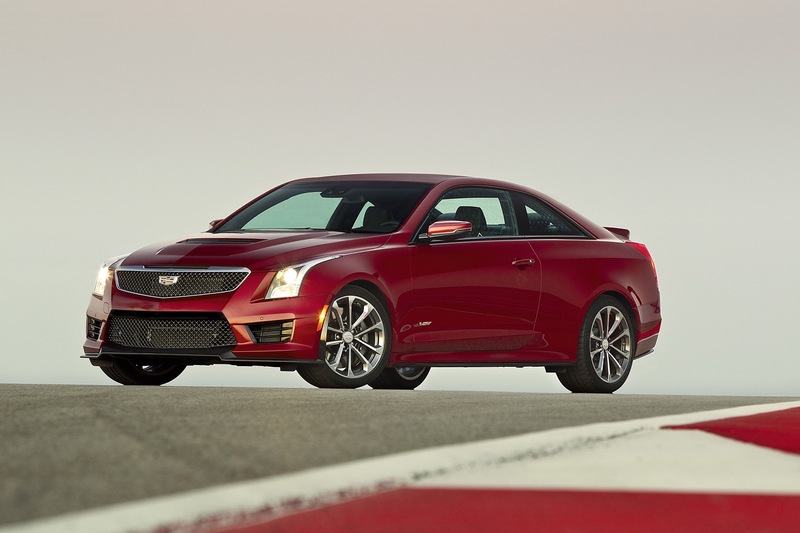 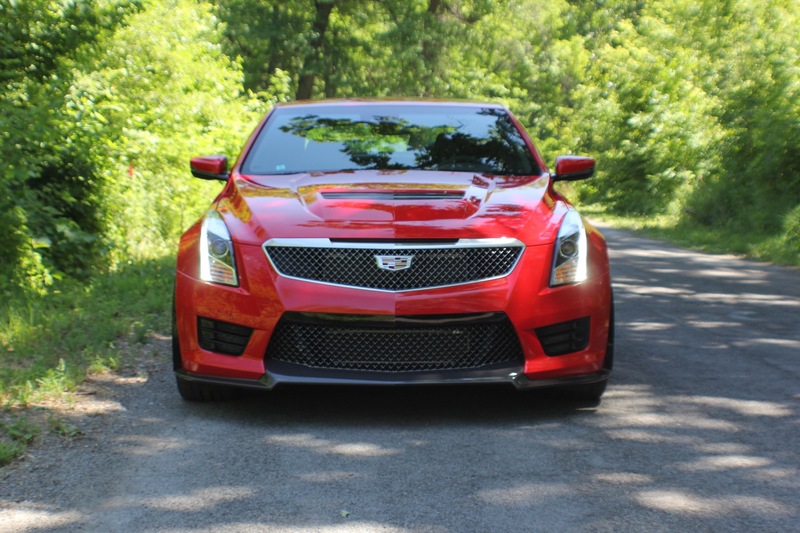 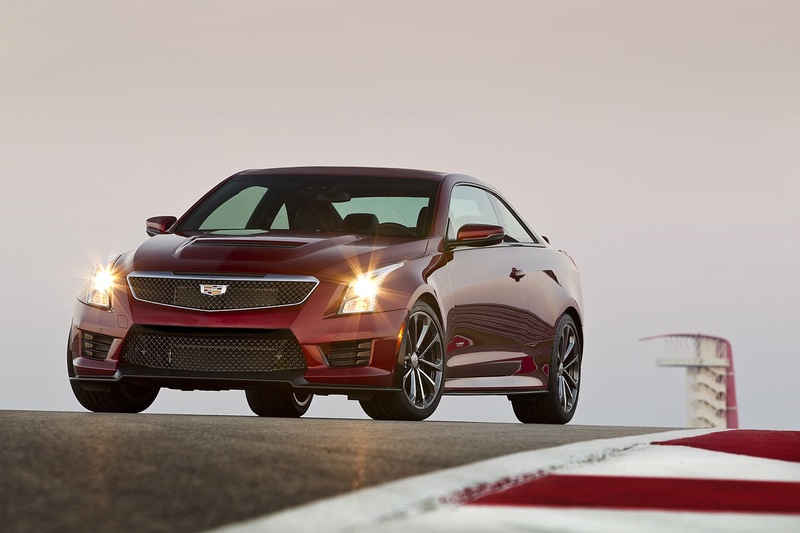 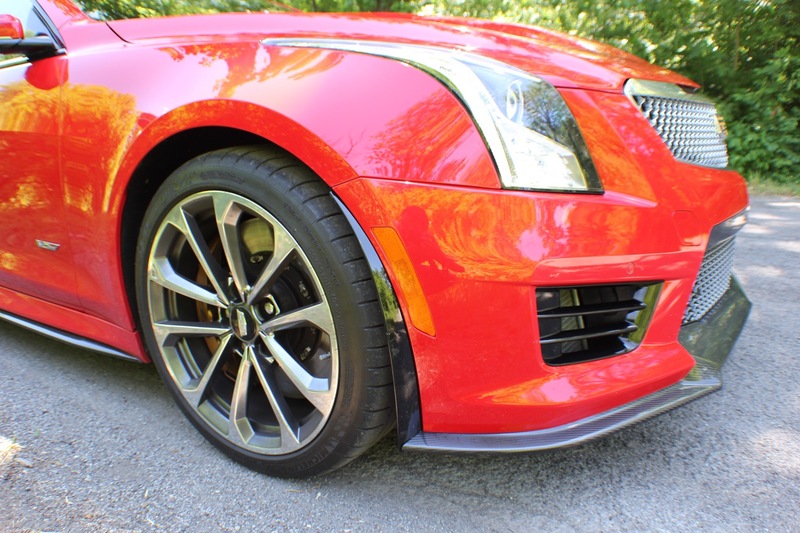 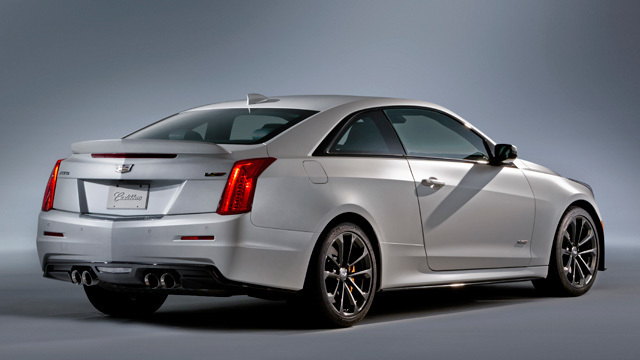 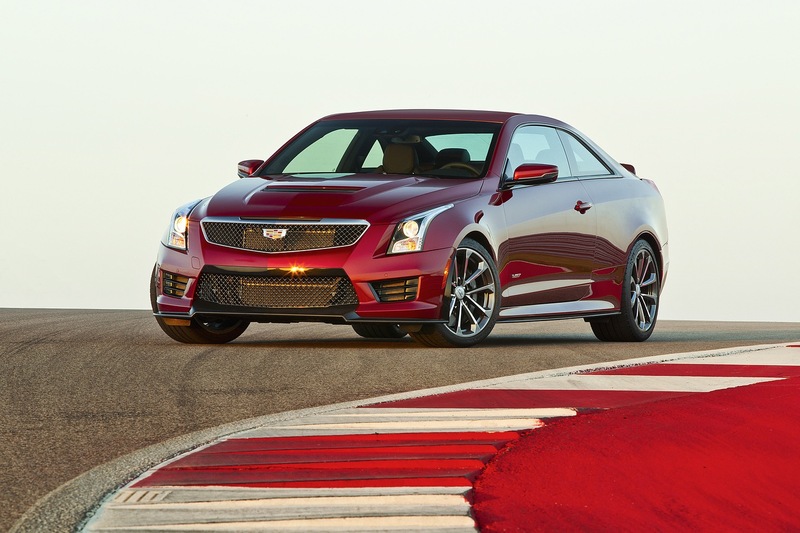 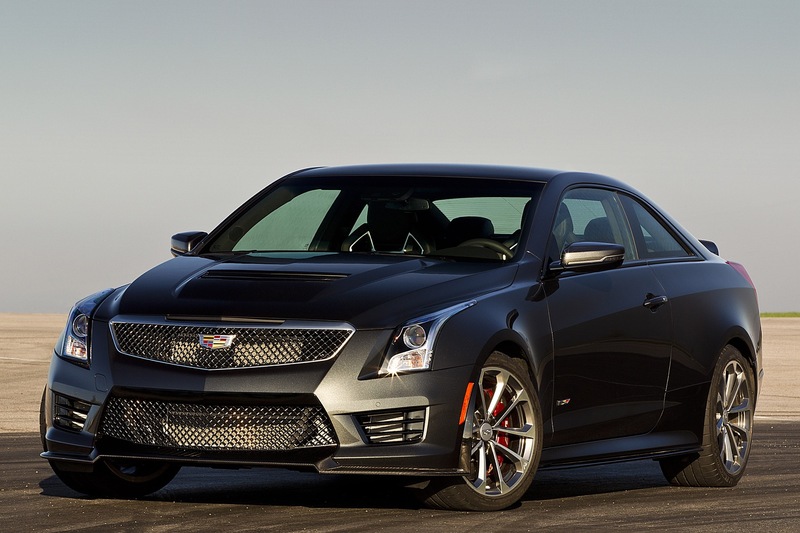 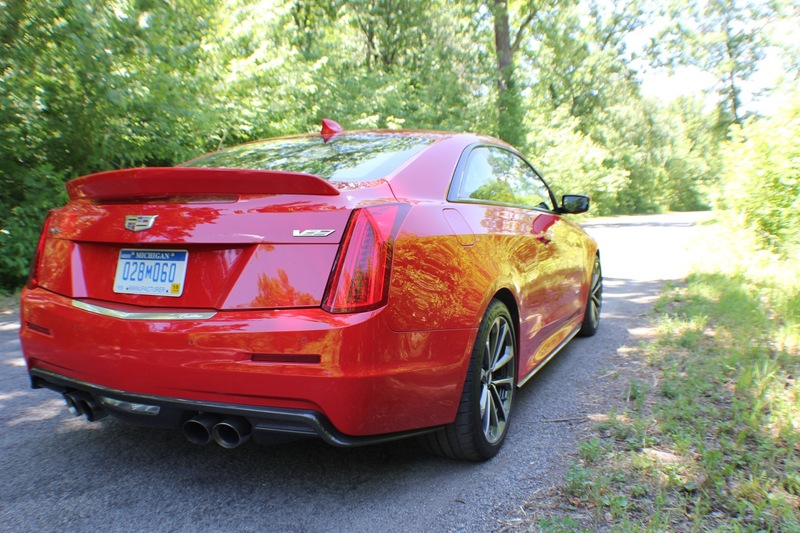 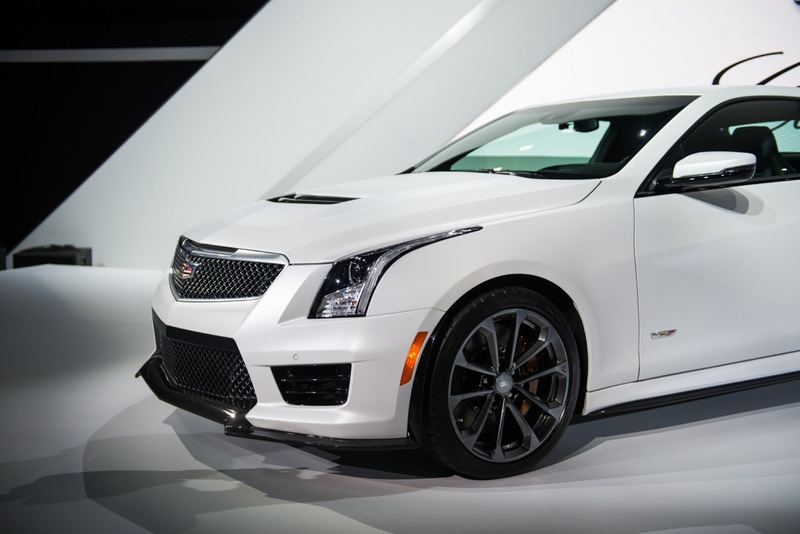 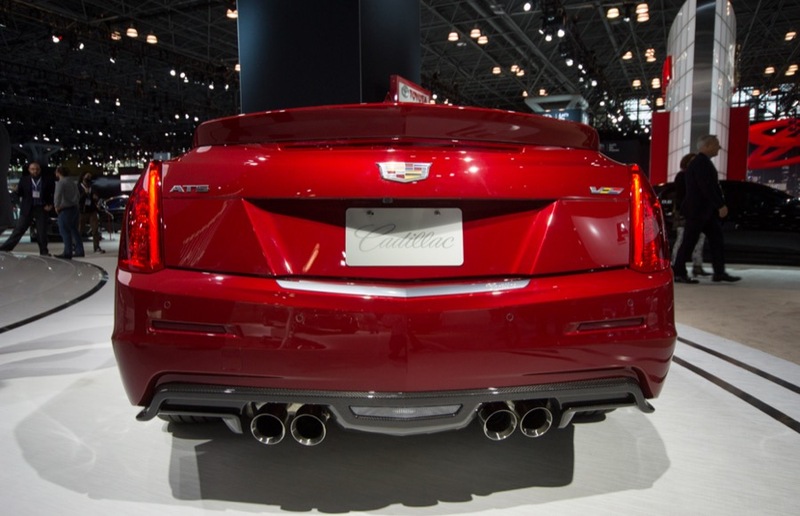 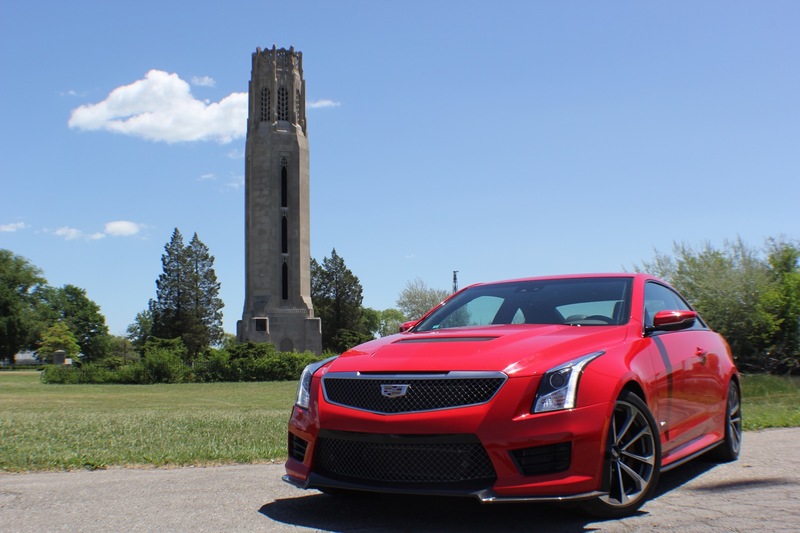 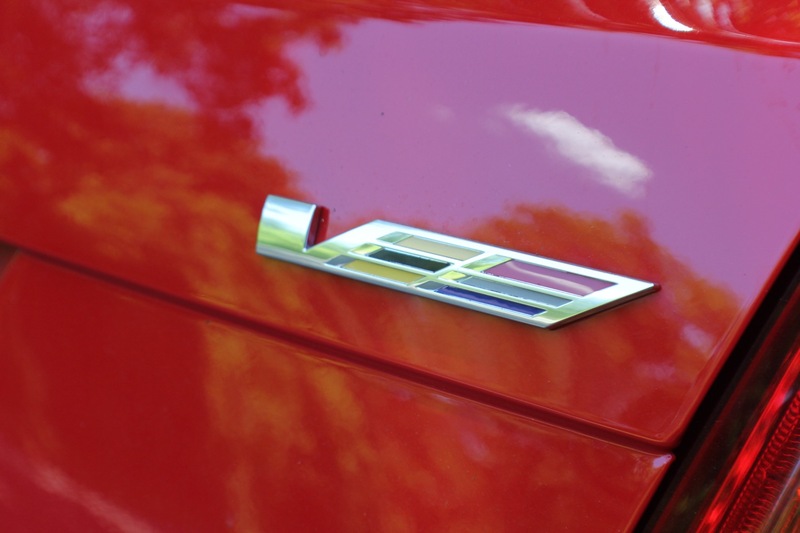 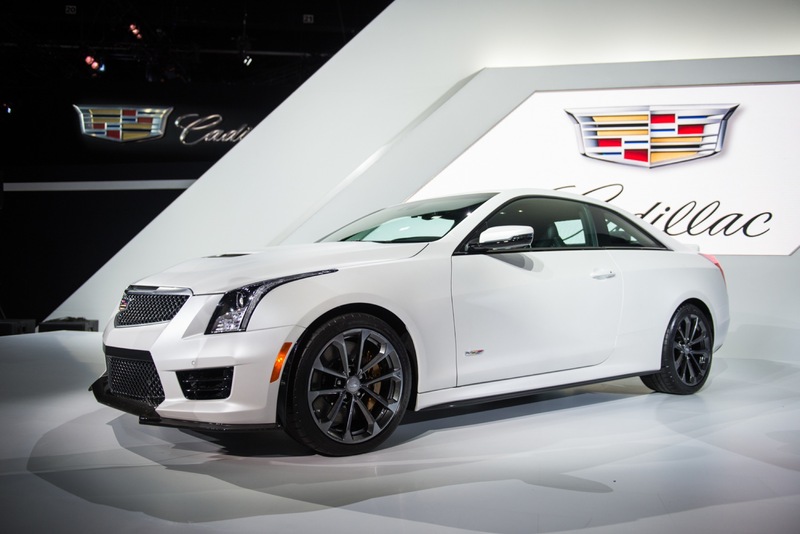 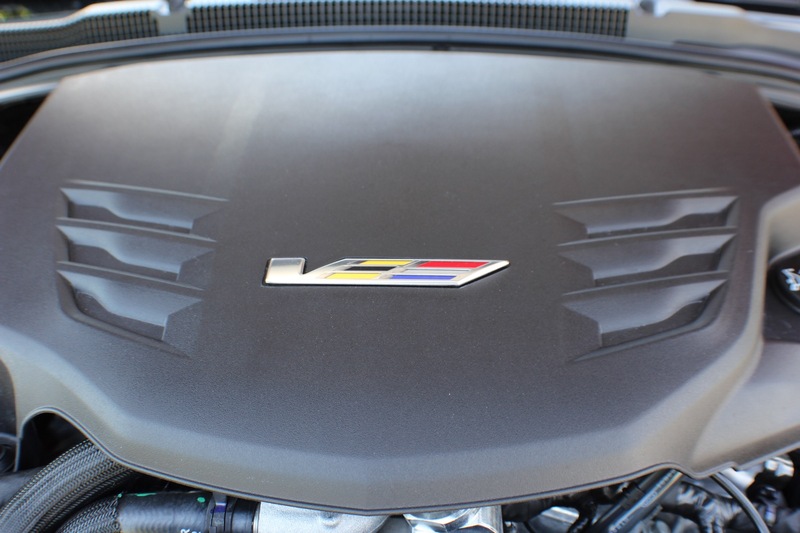 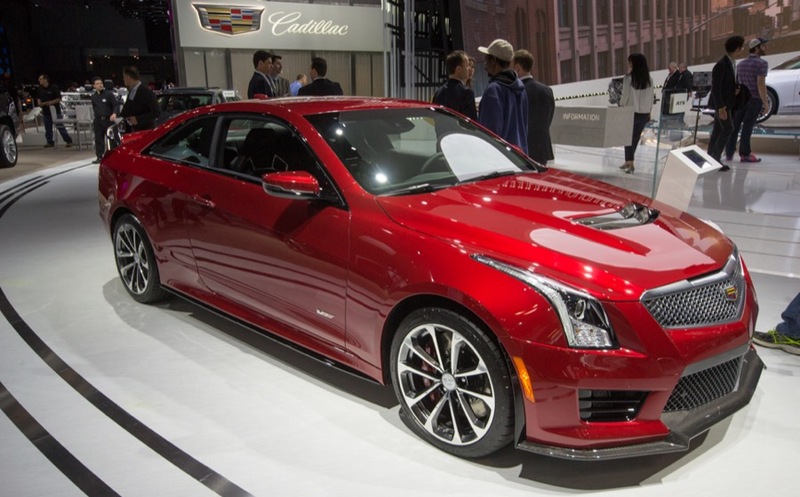 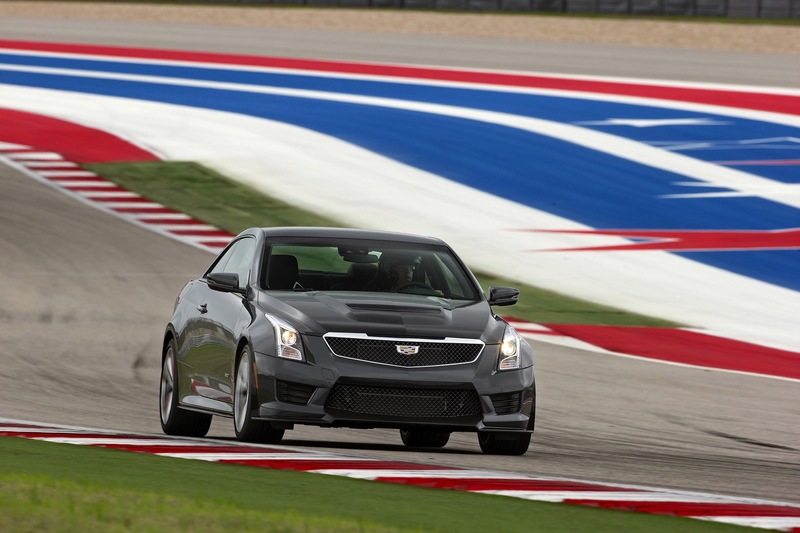 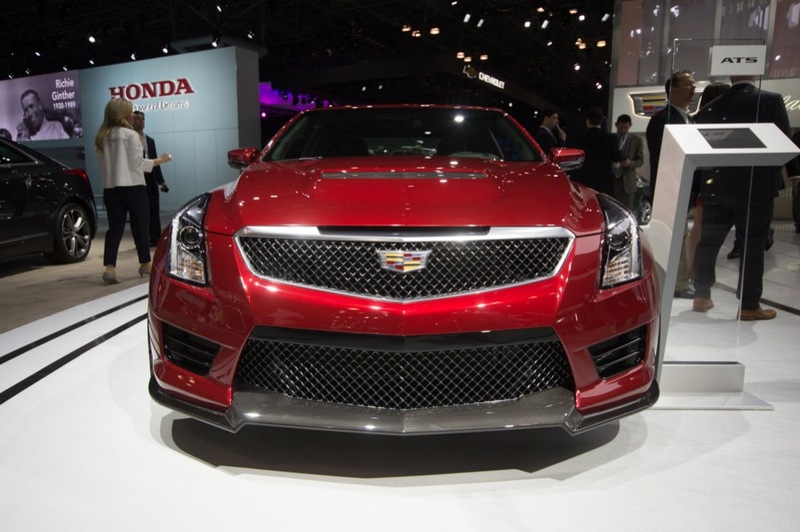 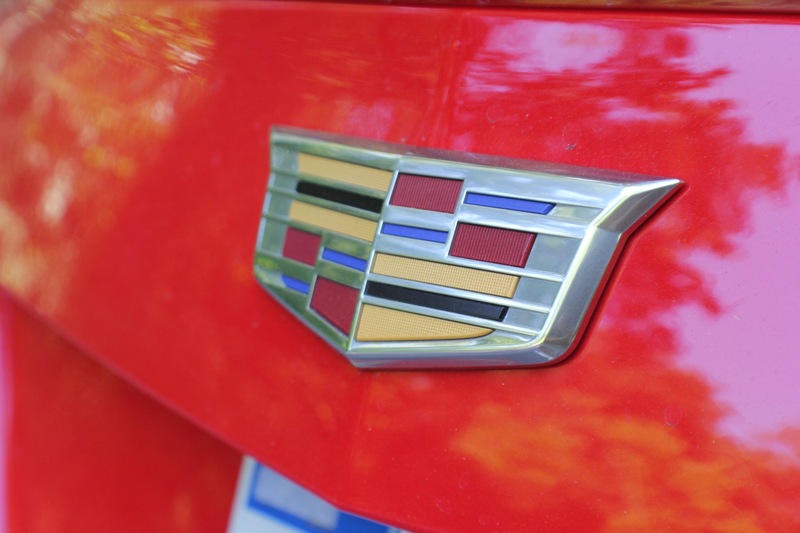 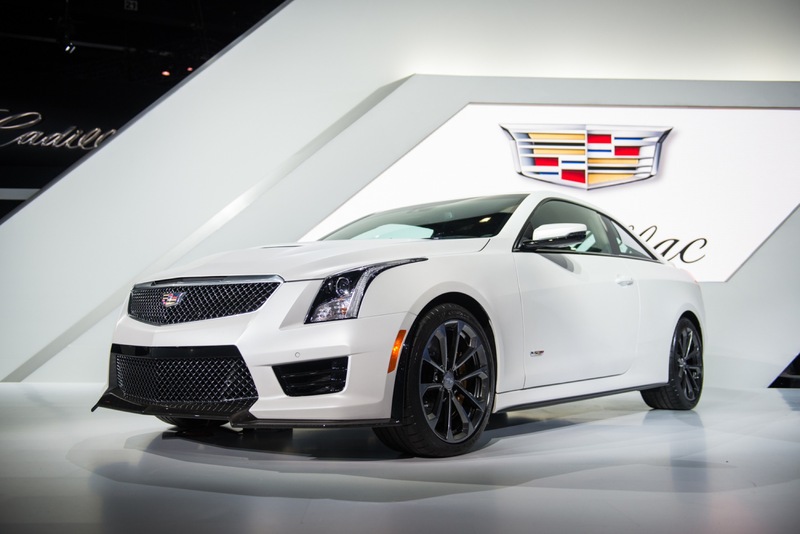 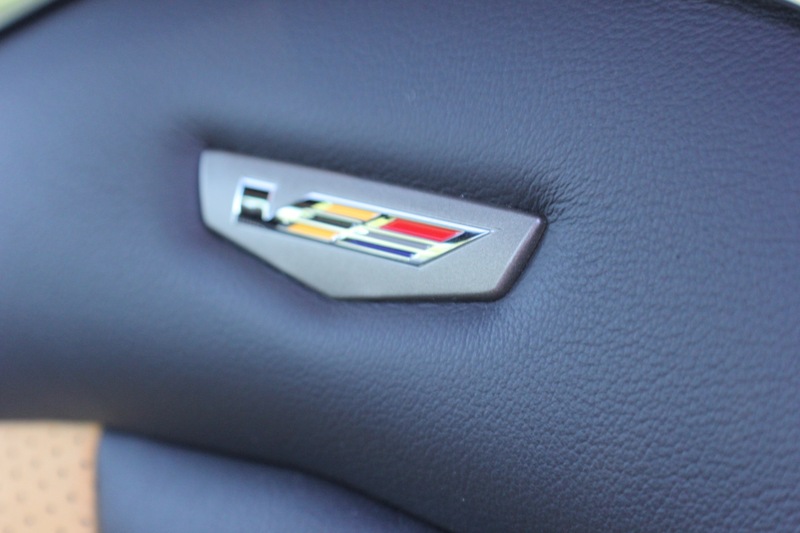 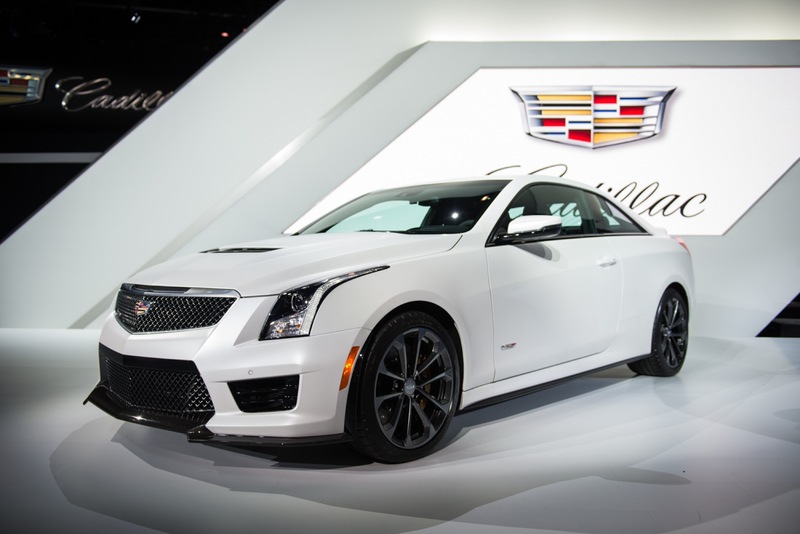 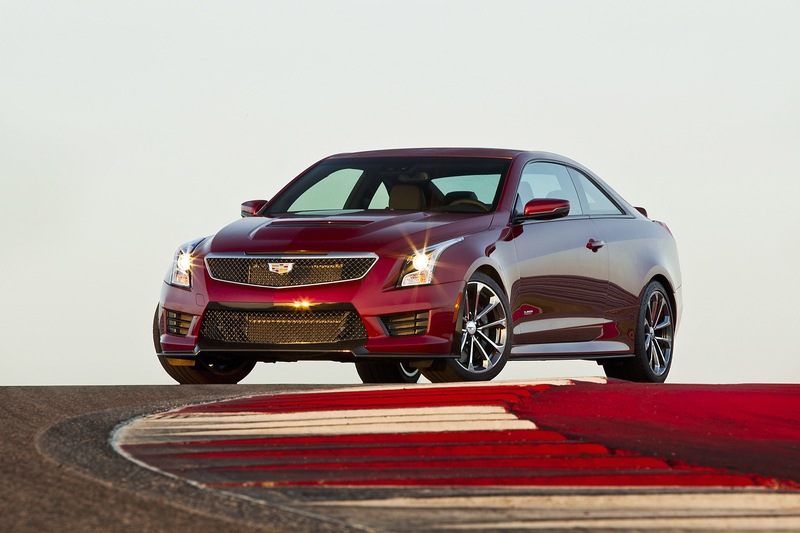 In addition, the ATS-V is Cadillac’s first turbocharged V-Series. 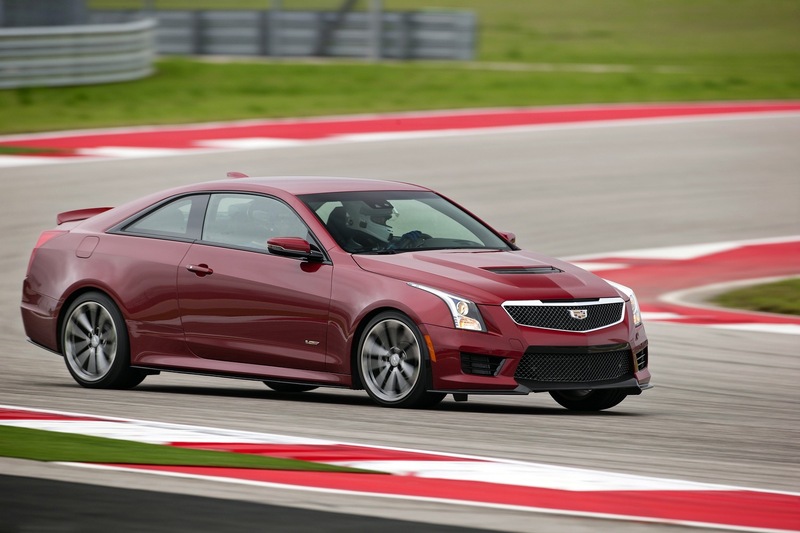 Delivering class-leading twin-turbocahged power and a comprehensive suite of design and performance systems, the ATS-V Coupe builds on the strengths of the award-winning ATS product line, adding an impressive track capability to what was already the lightest and most agile-driving car in the luxury compact class. 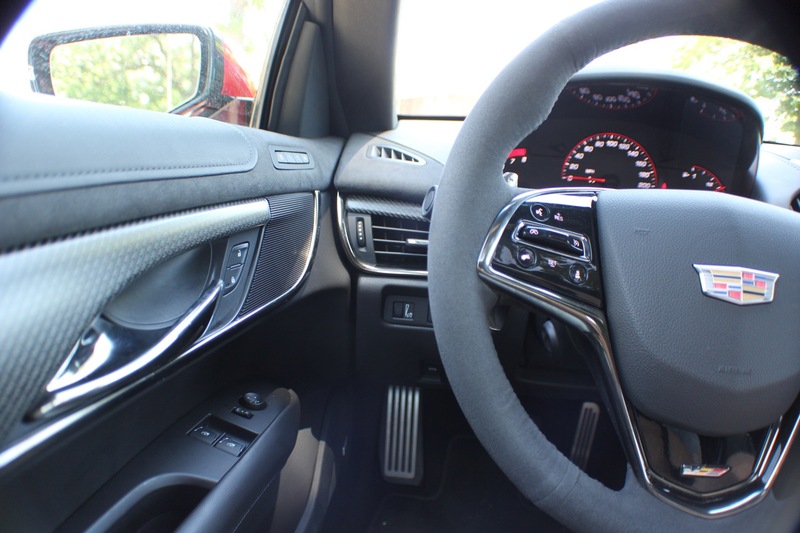 The result is a dual-purpose luxury performer – a car with true track capability right from the factory that is also a sophisticated luxury car on the road. 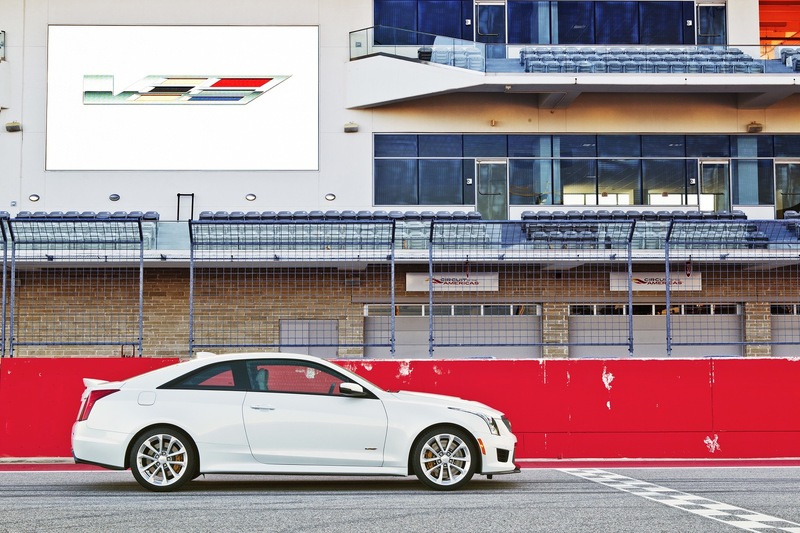 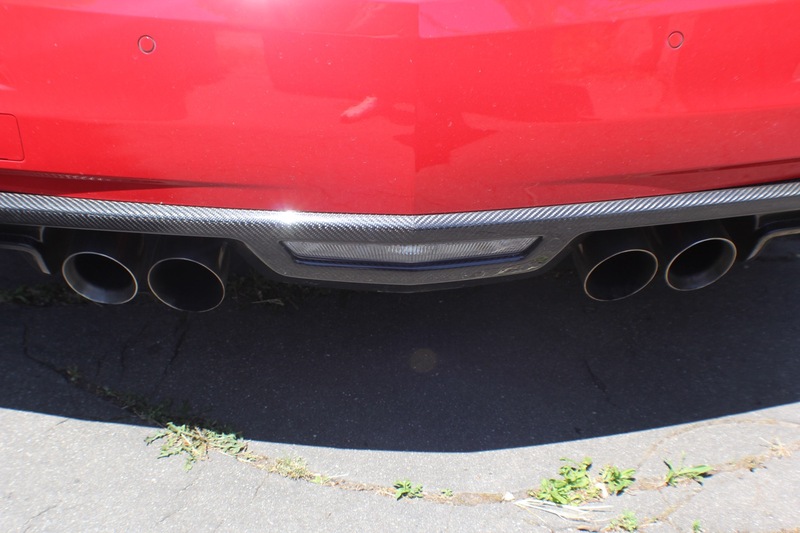 The 2016 ATS-V Sedan and 2016 ATS-V Coupe feature the same equipment and technology and have the same wheelbase, but the coupe is slightly longer, wider, and lower. 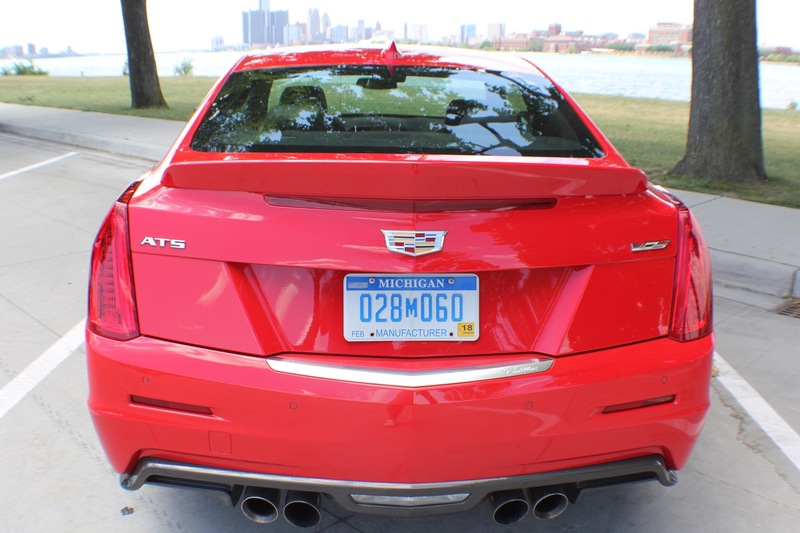 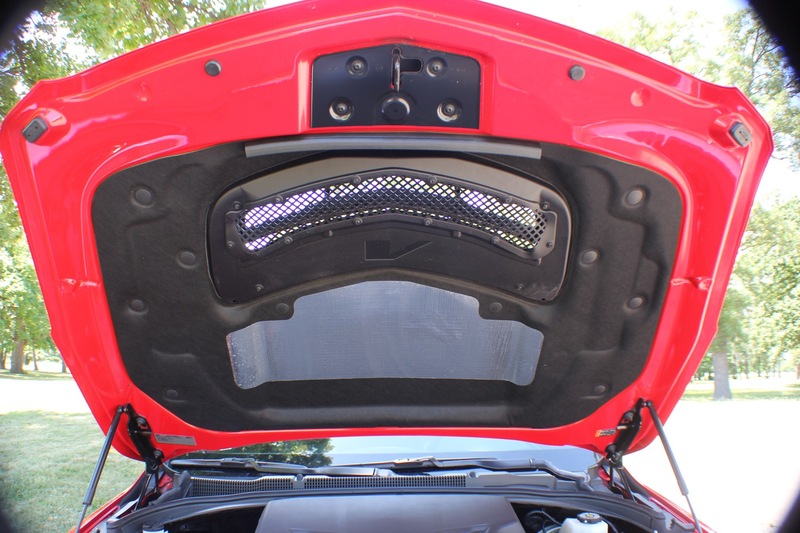 The ATS-V Coupe also features two more speakers than the Sedan (for a total of 9) as part of its Bose speaker system. 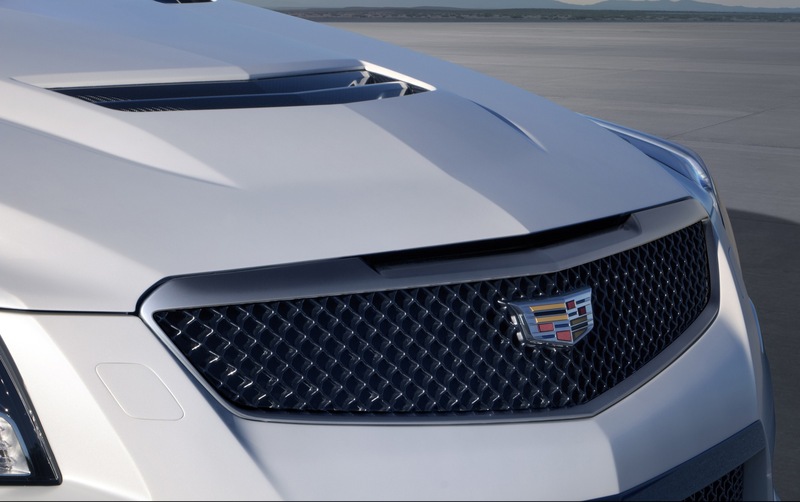 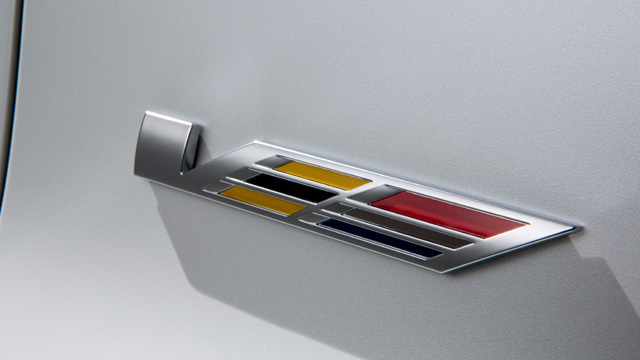 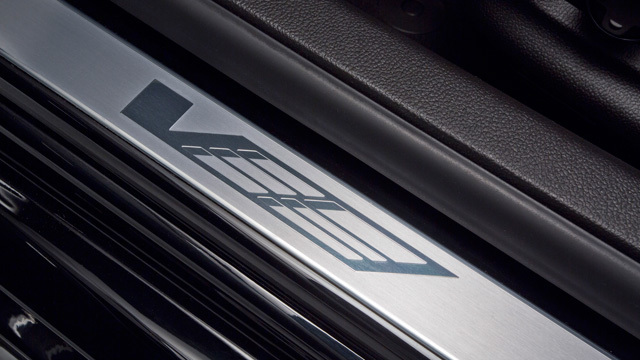 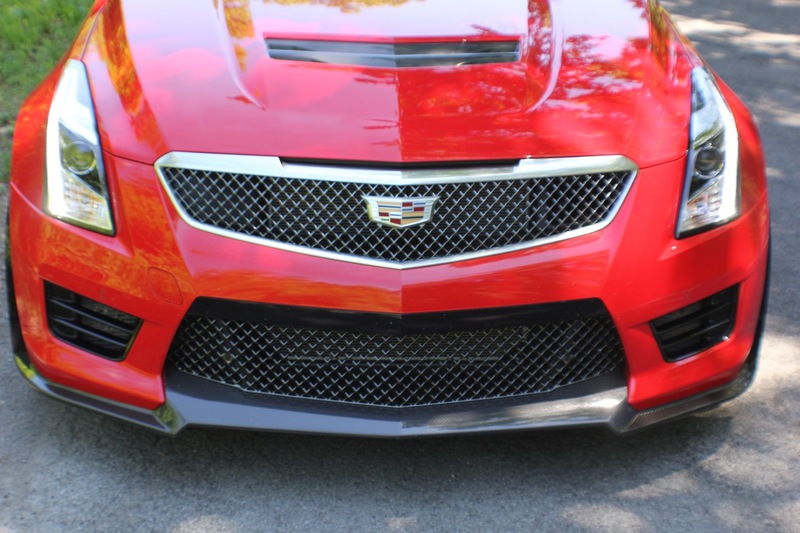 Almost every exterior panel on the ATS-V Coupe is unique from the “standard” non-V models — from the fascias and fenders, to the hood, rear spoiler and rocker moldings. 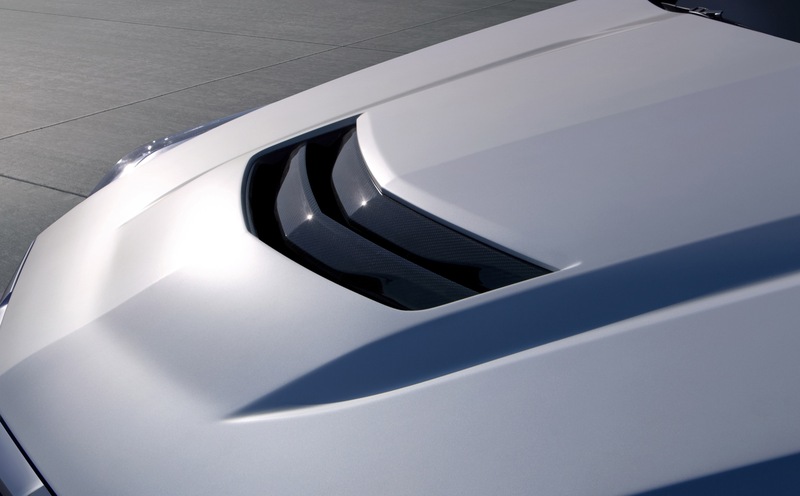 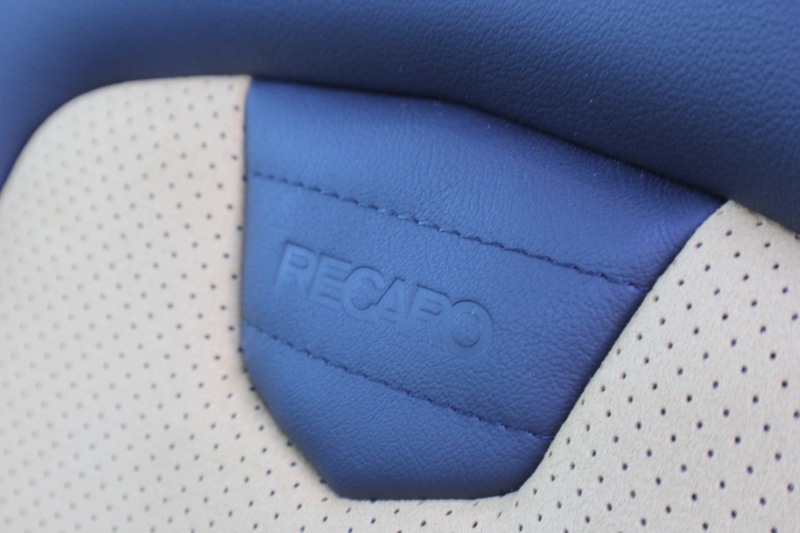 What’s more, every panel was designed to support the car’s performance and capability. 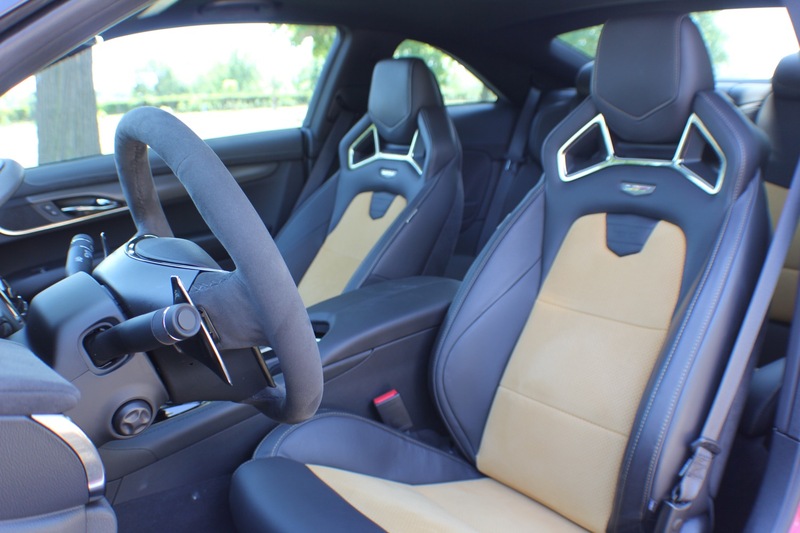 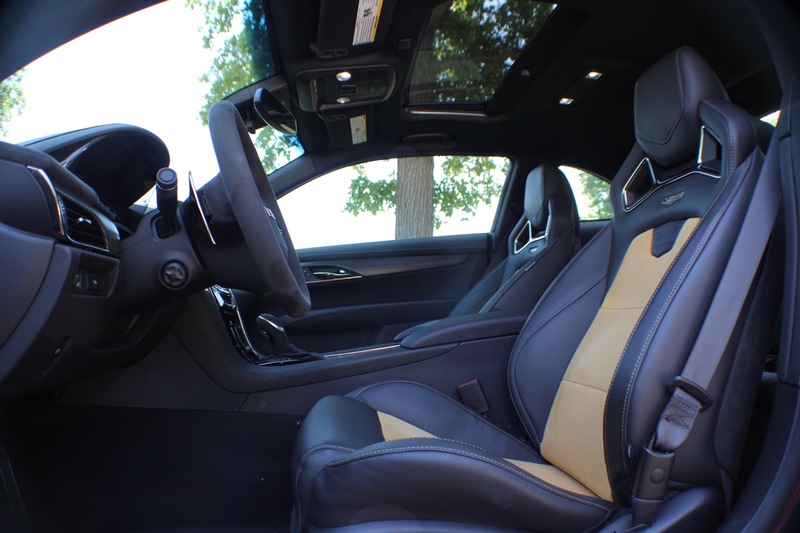 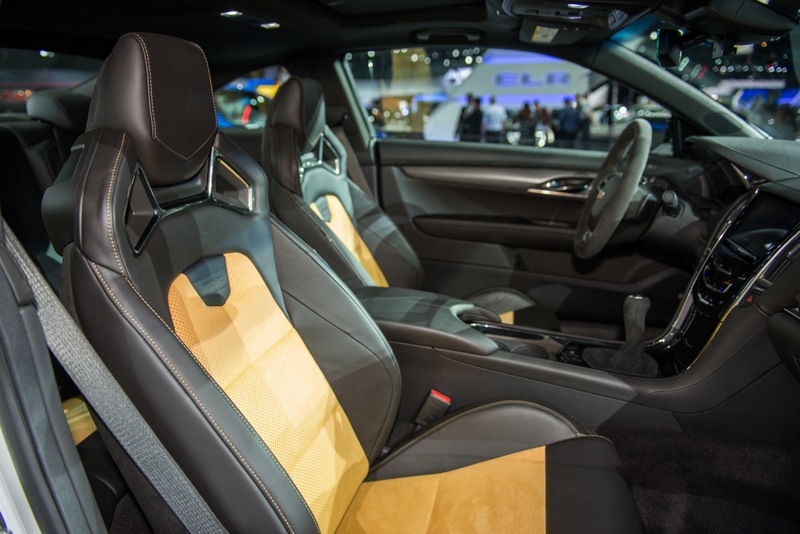 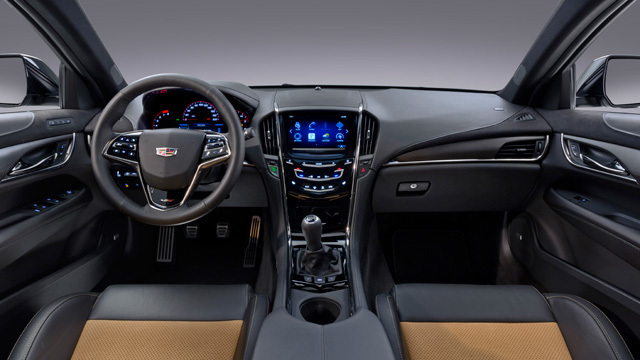 The ATS-V Coupe’s aura of track-inspired precision carries over to the interior, where the design and relationship of key components are aimed squarely at performance-driving ergonomics. 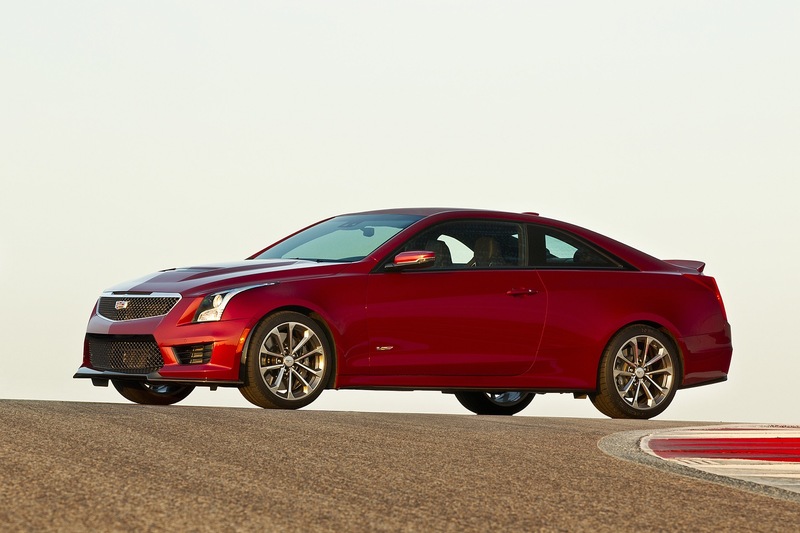 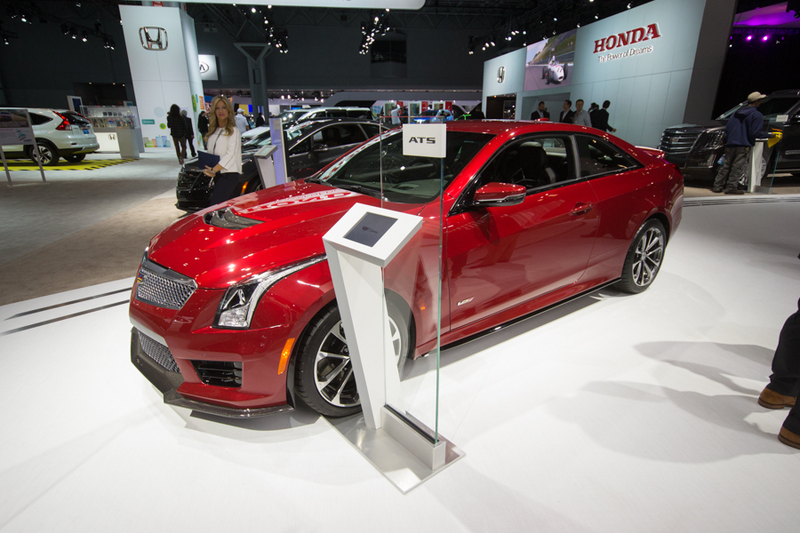 Technology makes life with the ATS-V Coupe more convenient. 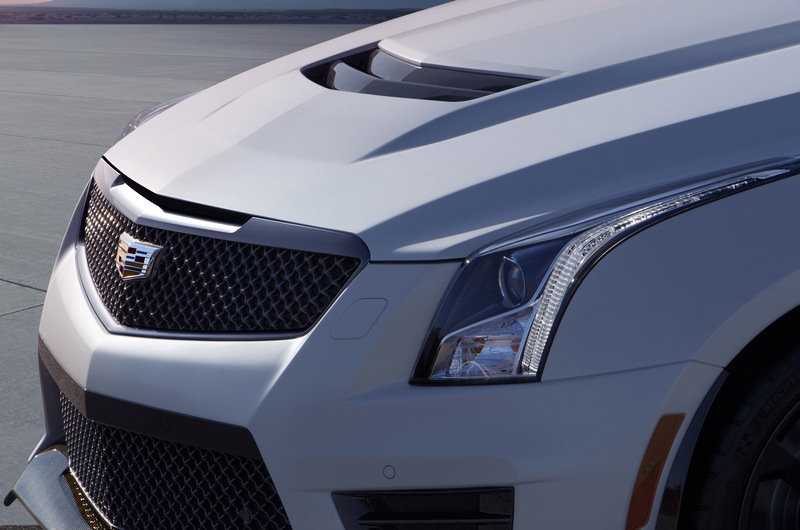 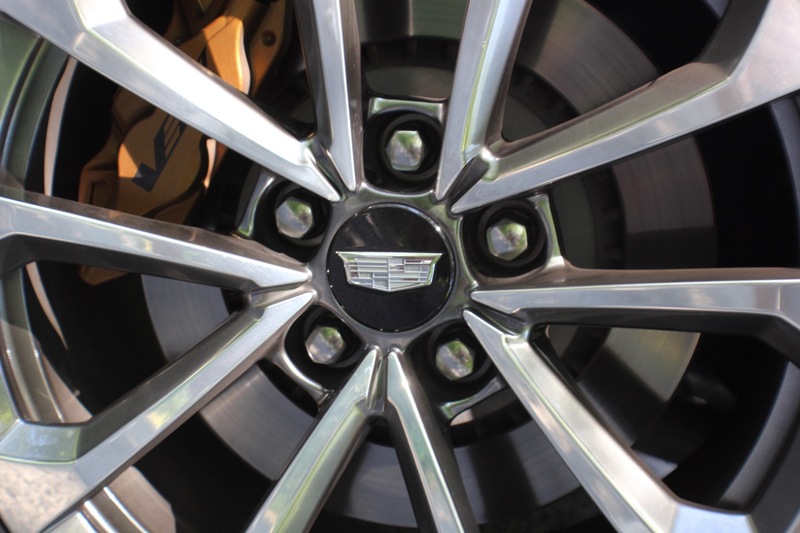 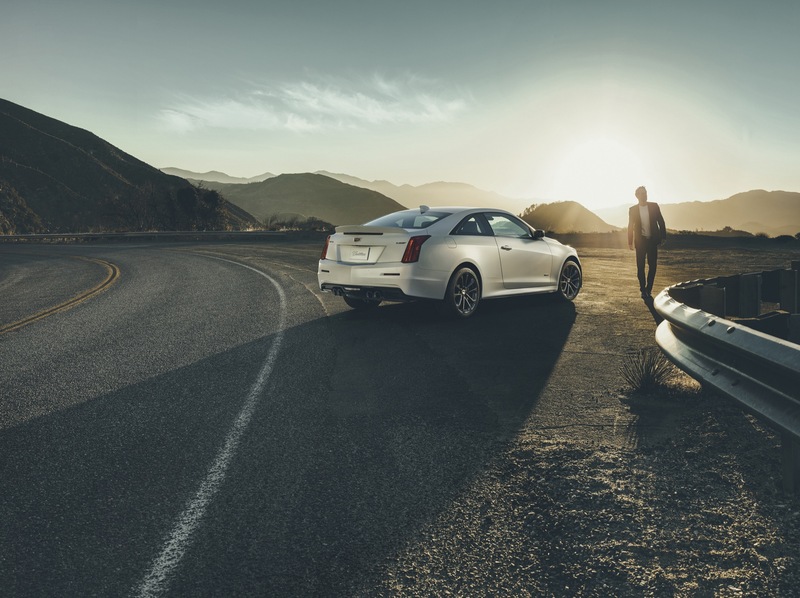 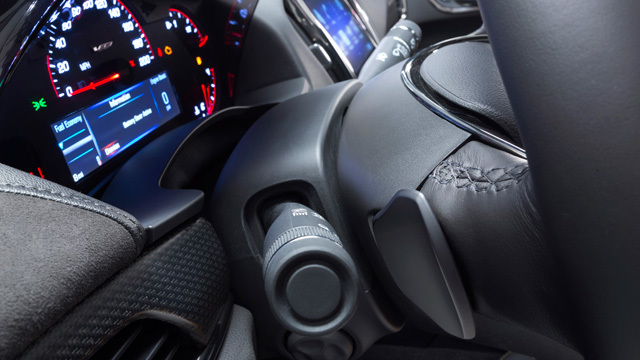 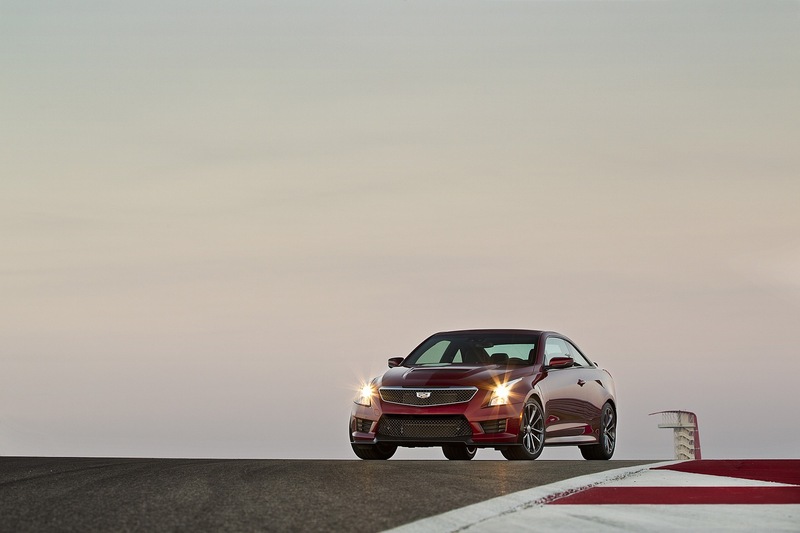 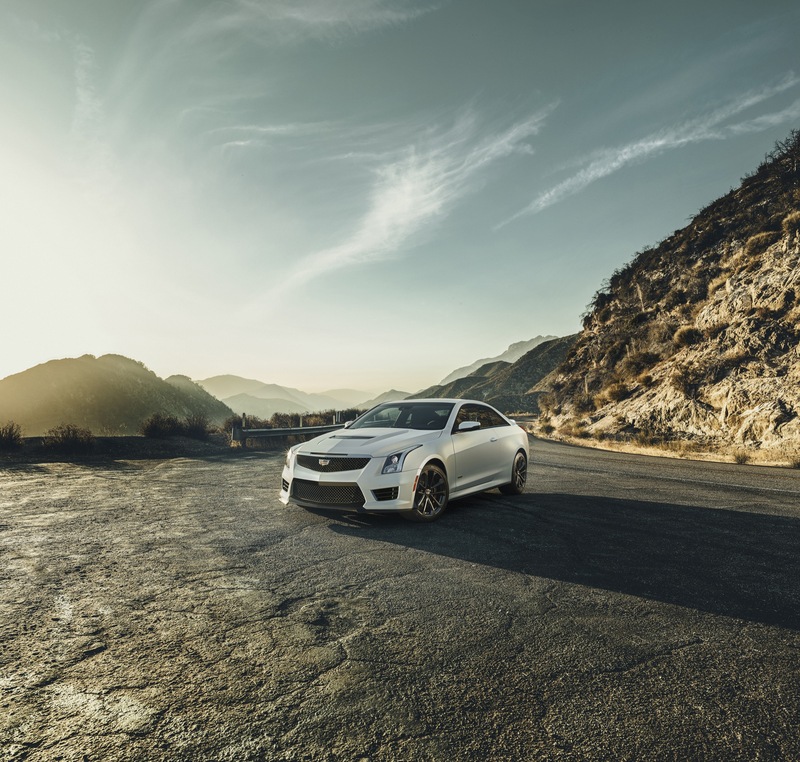 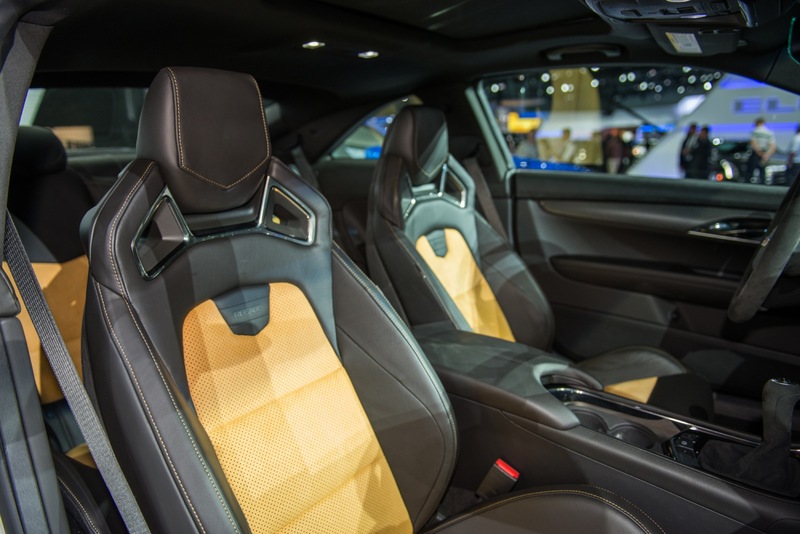 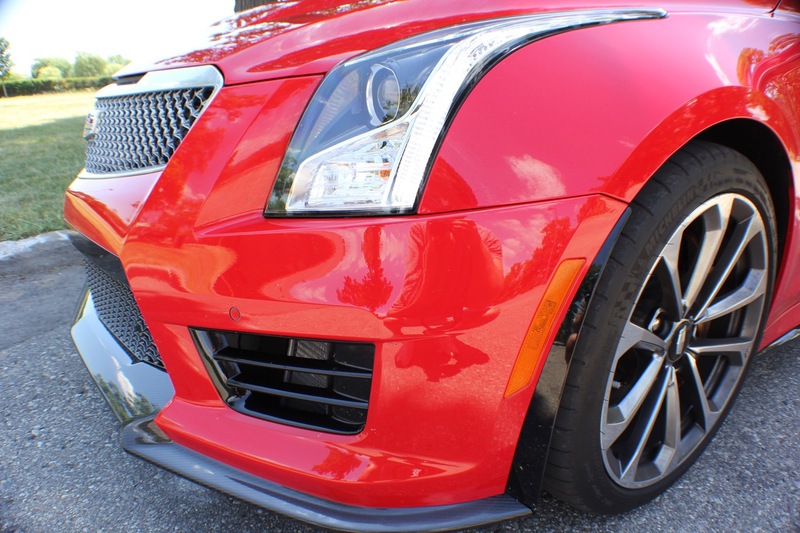 Cadillac CUE is the centerpiece of the ATS-V Coupe’s comprehensive collection of technologies designed to enhance the driving experience and complement customers’ increasingly connected lifestyles. 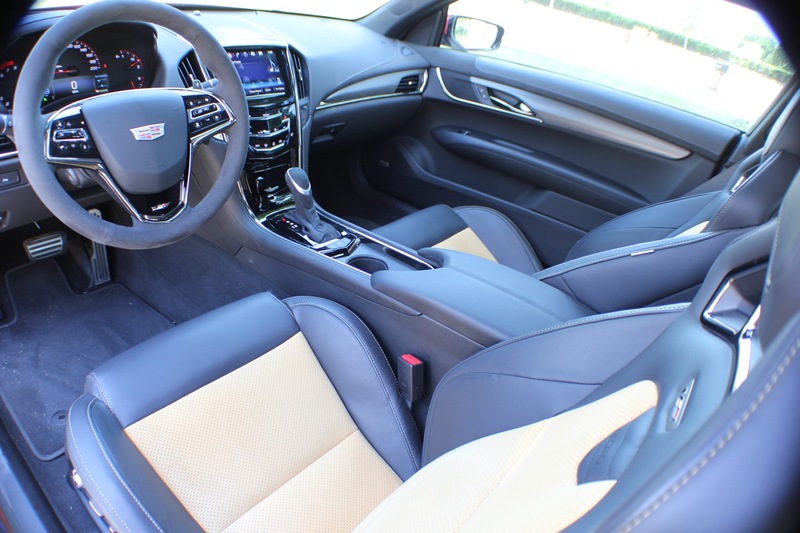 A 9-speaker Bose premium audio system with Active Noise Cancelation technology is standard on the ATS-V Coupe, while a 7-speaker Bose premium audio system is standard on the ATS-V Sedan. 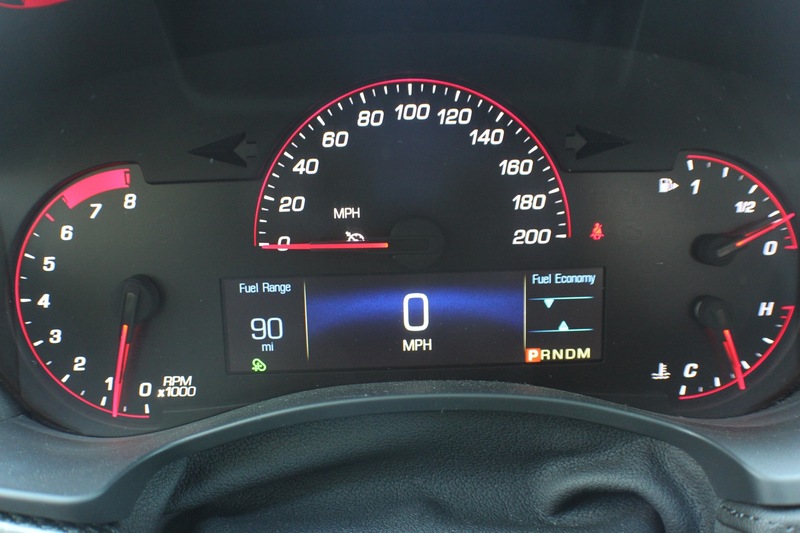 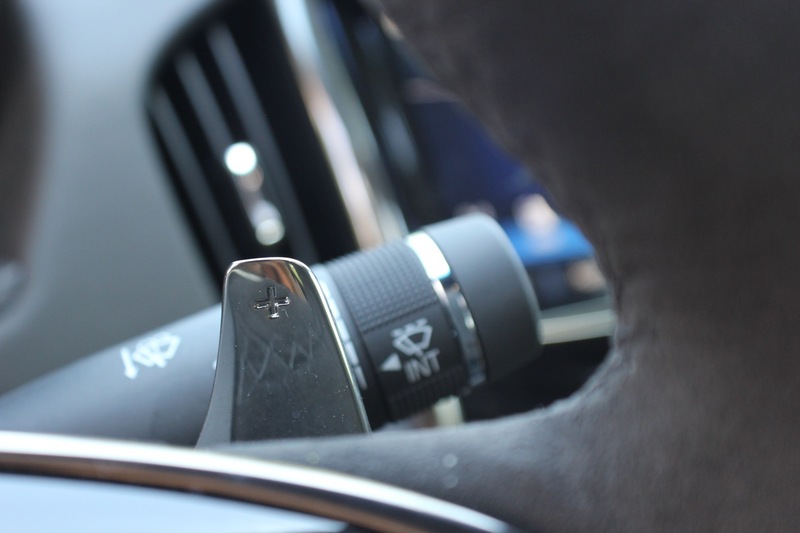 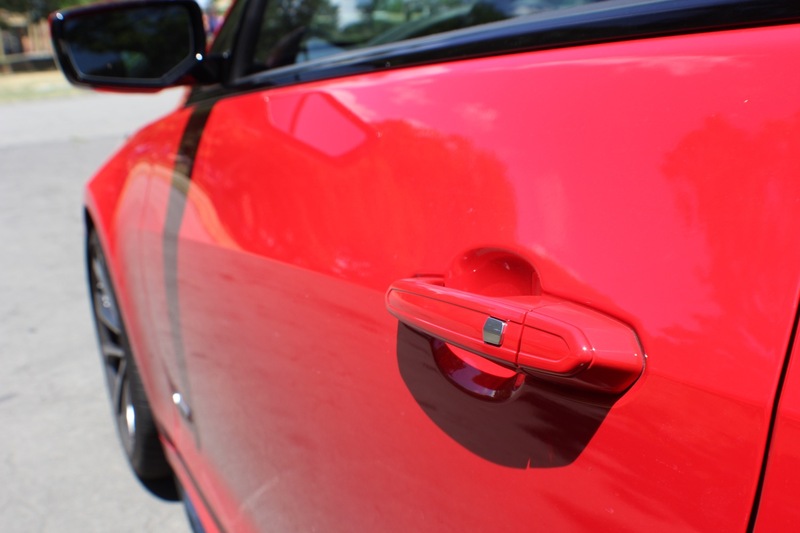 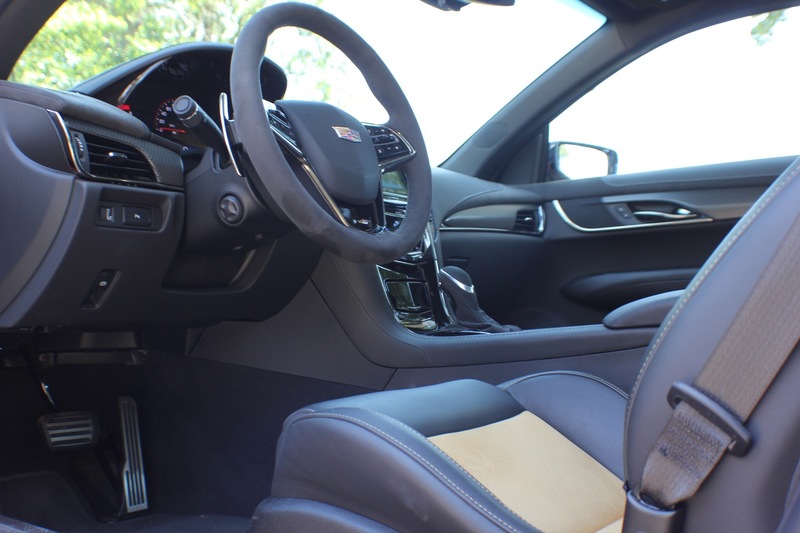 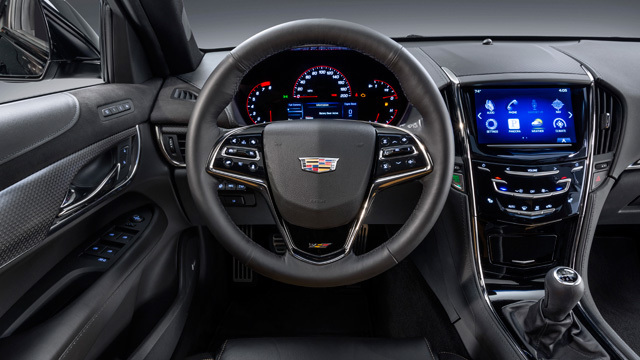 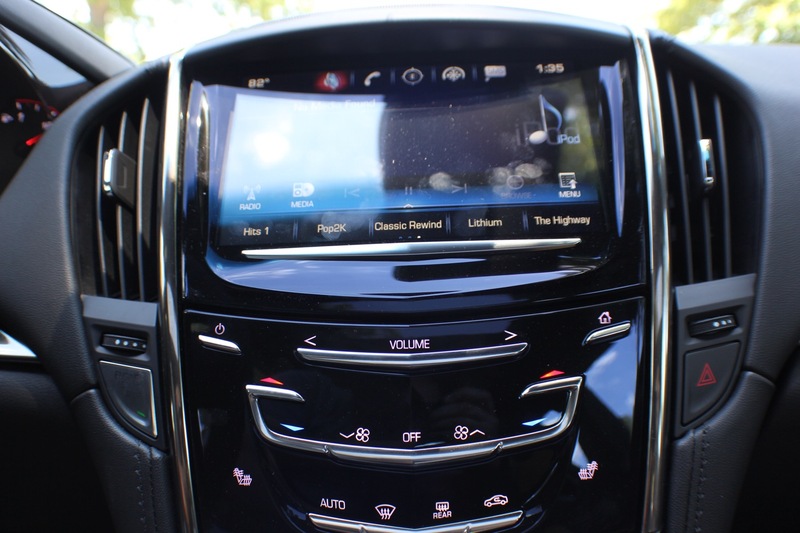 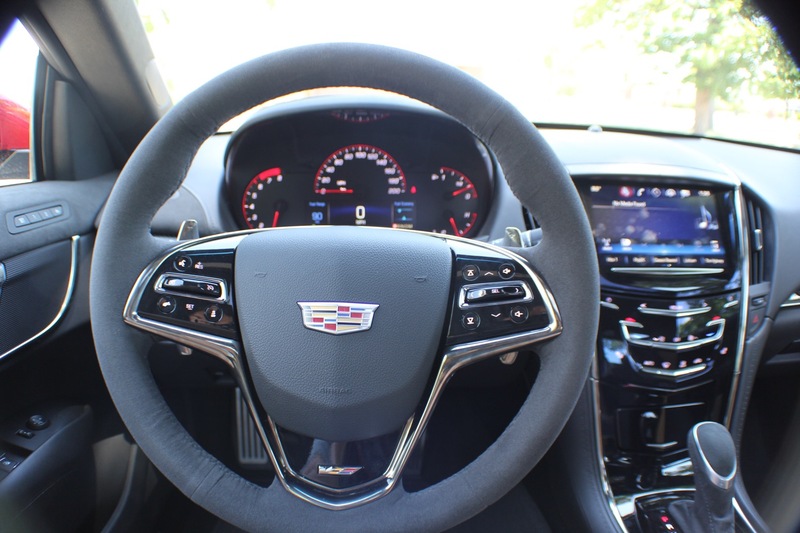 Additional technologies that make life with the ATS more convenient include the capability of remotely starting the engine or lowering the windows with the key fob or the owner’s smartphone. 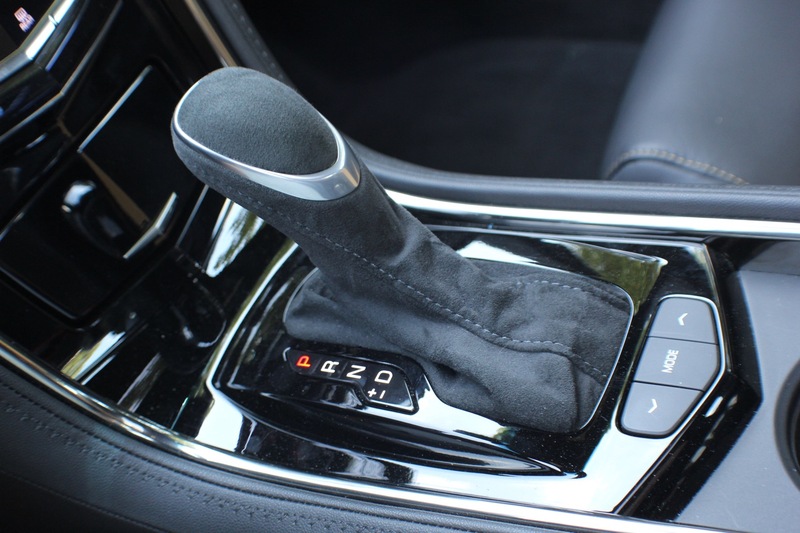 EZ Key passive entry and push-button starting is standard, too, so the key never needs to leave the driver’s pocket or purse. 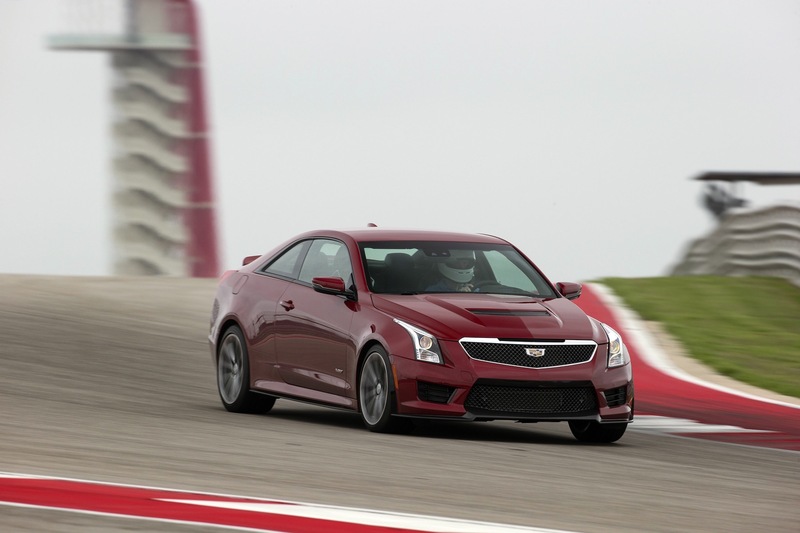 A Performance Data Recorder (PDR) onboard the ATS-V Coupe allows drivers to record high-definition video, with data overlays, of their driving experiences on and off the track, enabling sharing on social media. 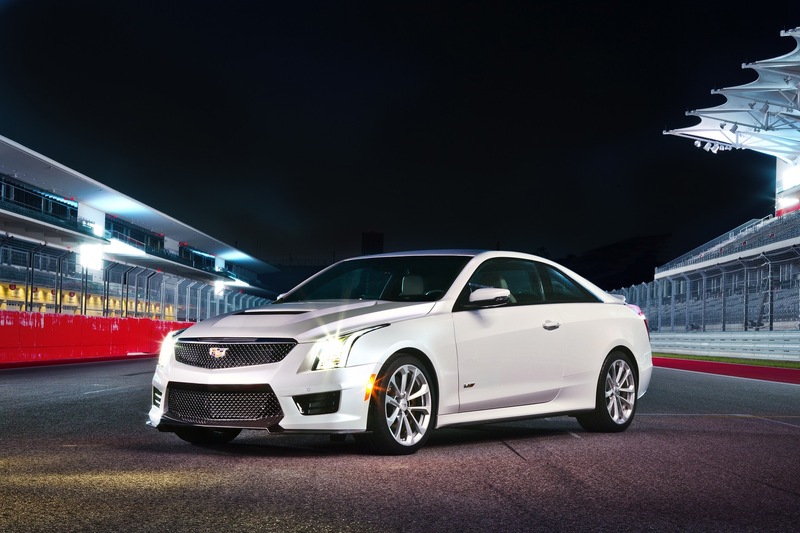 Outside of being a very capable handler, the 2016 ATS-V Coupe can achieve 0-60 mph performance in 3.8 seconds and a top speed of 189 mph. 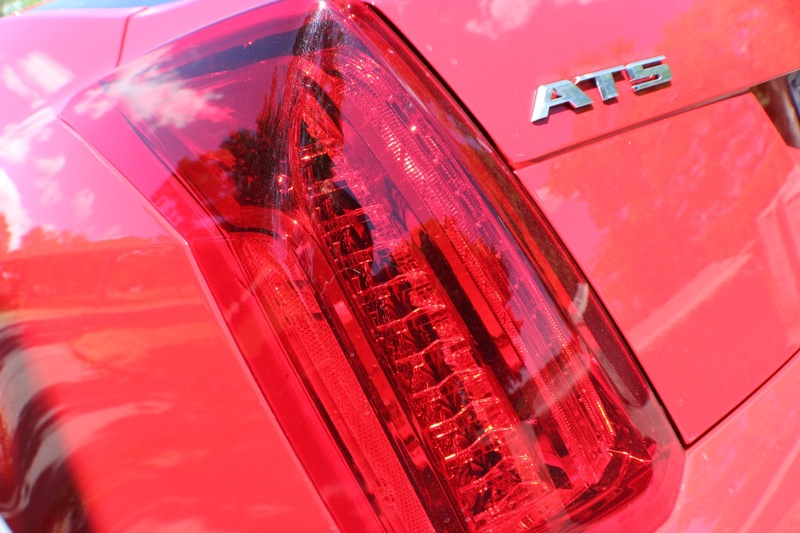 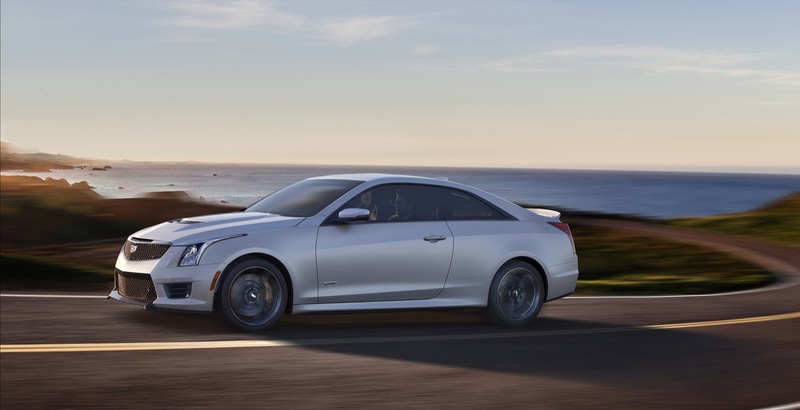 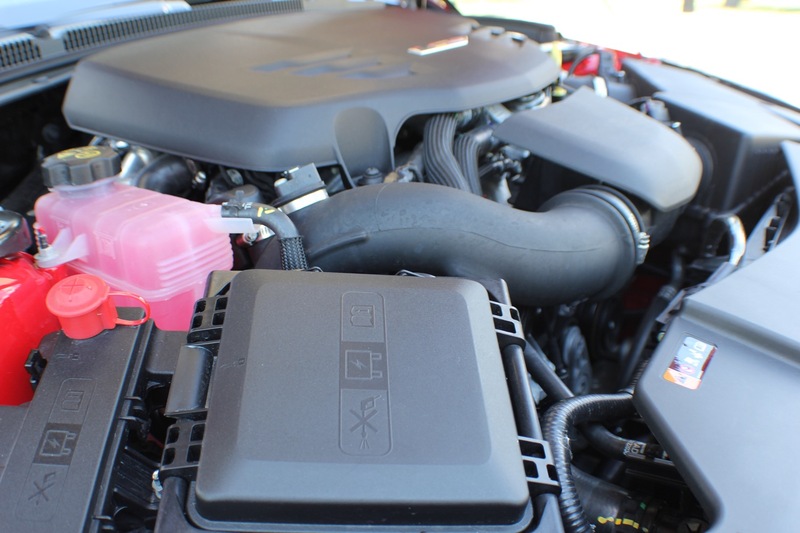 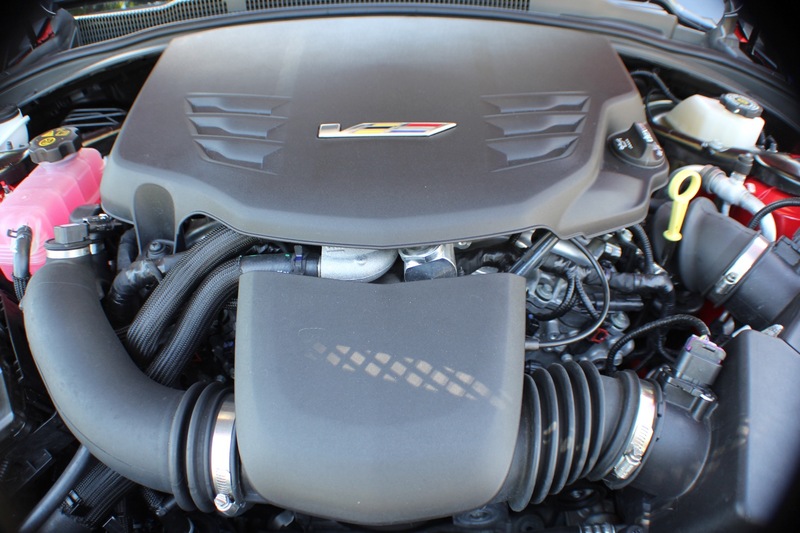 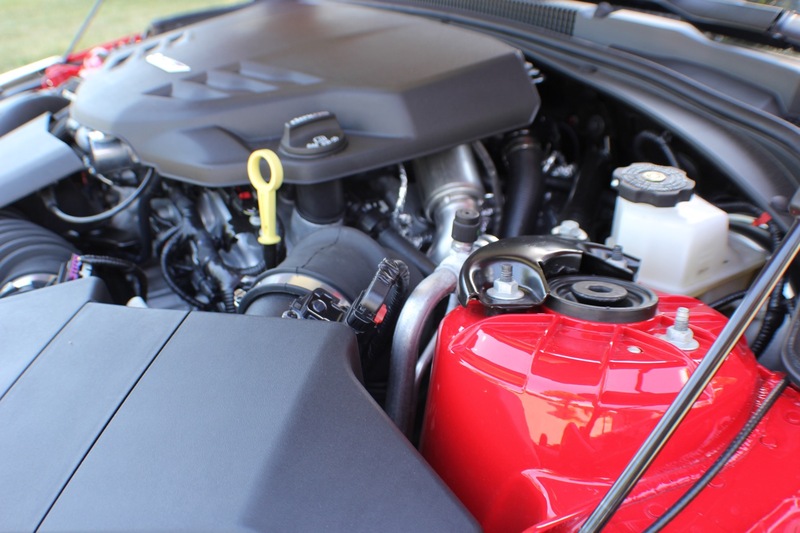 Like the ATS-V Sedan, the ATS-V Coupe is powered by the first-ever twin-turbocharged engine in a V-Series. 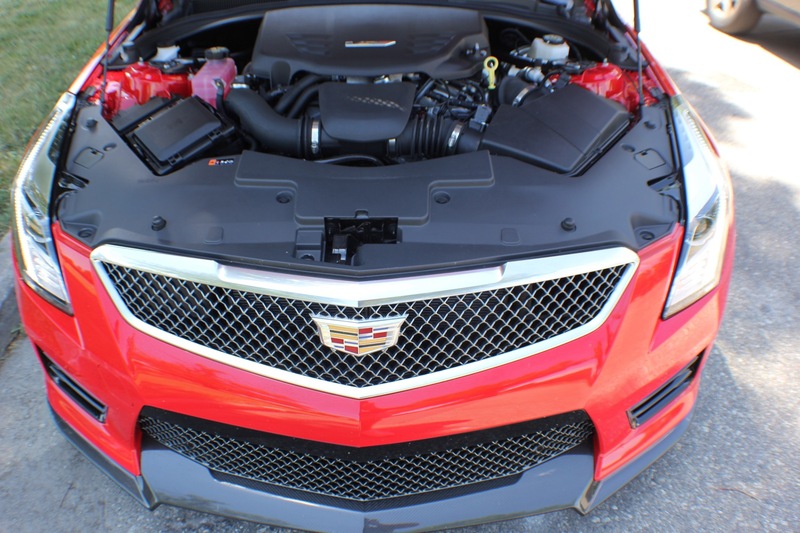 Rated at an SAE-certified 464 horsepower (346 kW) and 444 pound-feet of torque (601 Nm), the engine is the segment’s highest-output six-cylinder and enables 0-60 performance in 3.8 seconds and a top speed of 189 mph. 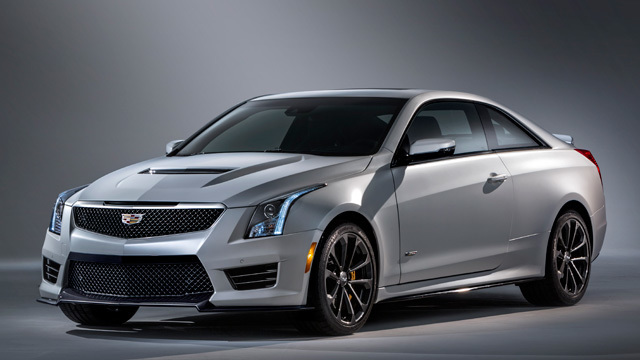 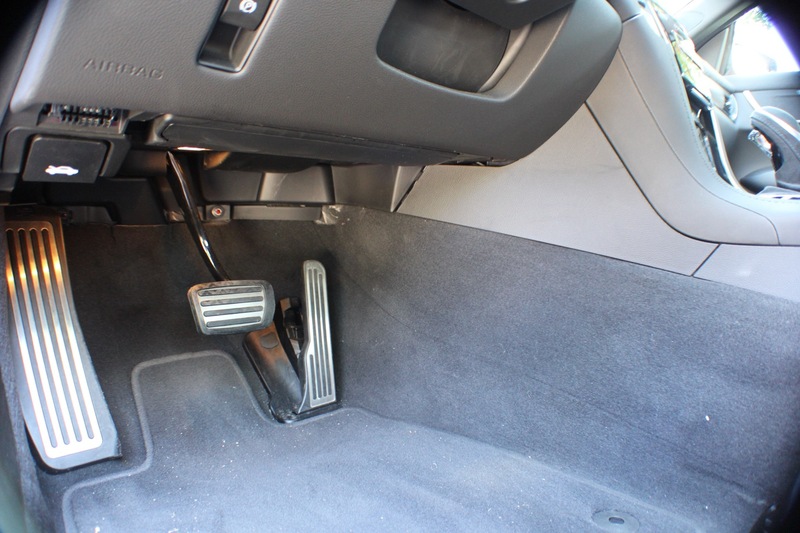 The new Hydra-Matic 8L90 eight-speed paddle-shift automatic transmission is available in the ATS-V Coupe. 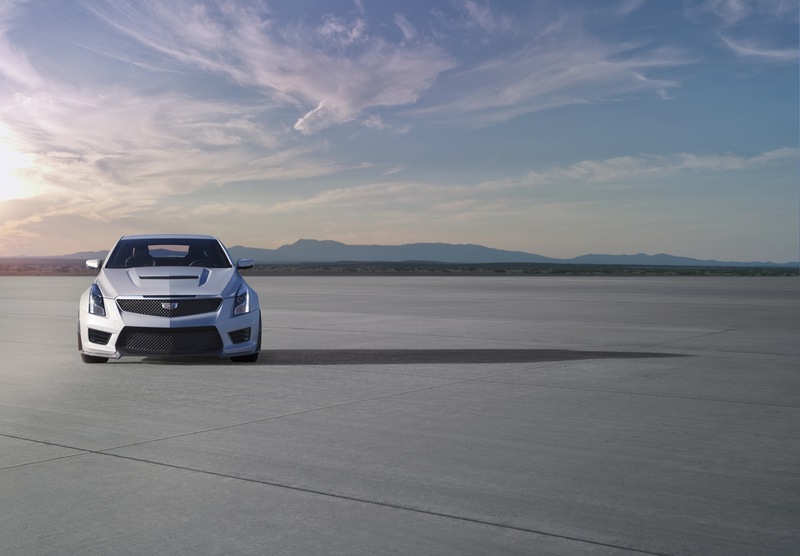 Designed and built by GM, it delivers world-class shift times that rival the best dual-clutch designs. 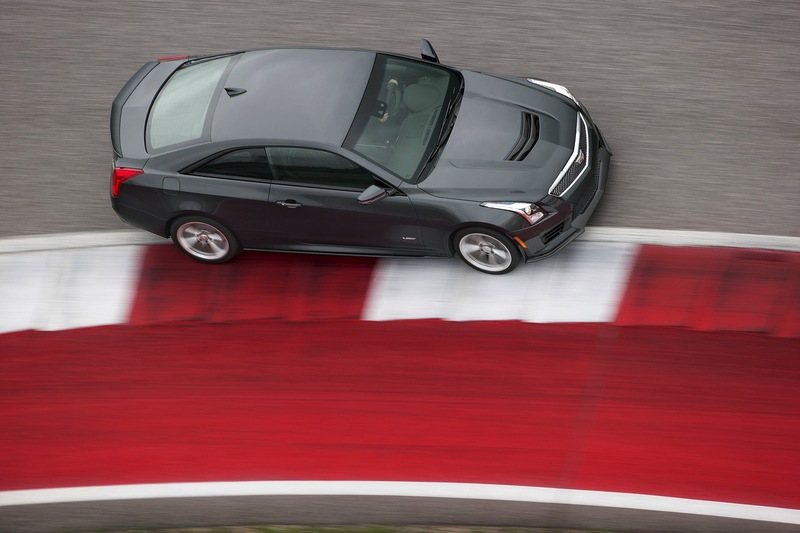 However, the structure of the ATS-V Coupe is further optimized for performance. 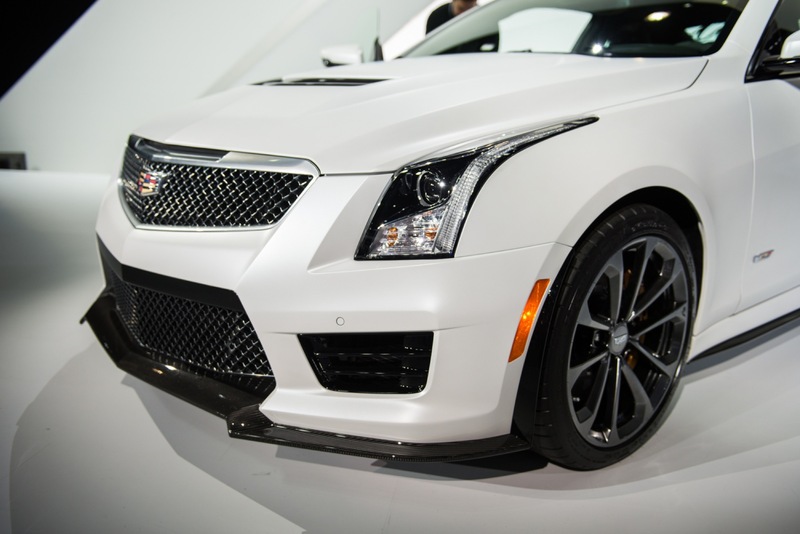 See Chassis. 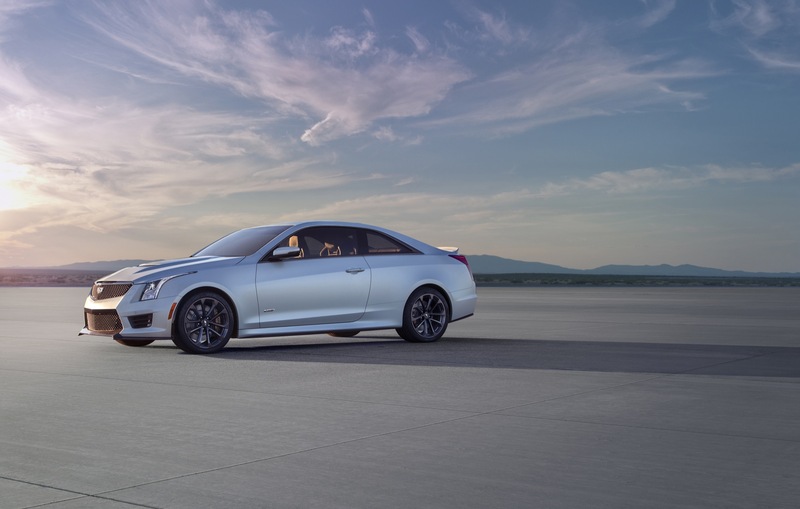 The ATS-V Coupe models share the same 109.3-inch (2,775 mm) wheelbase as the ATS-V Sedan and non-V ATS Coupe and ATS Sedan models, but features wider front and rear footprints that enhance grip, reduce body motion in turns and contribute to more direct-feeling steering. 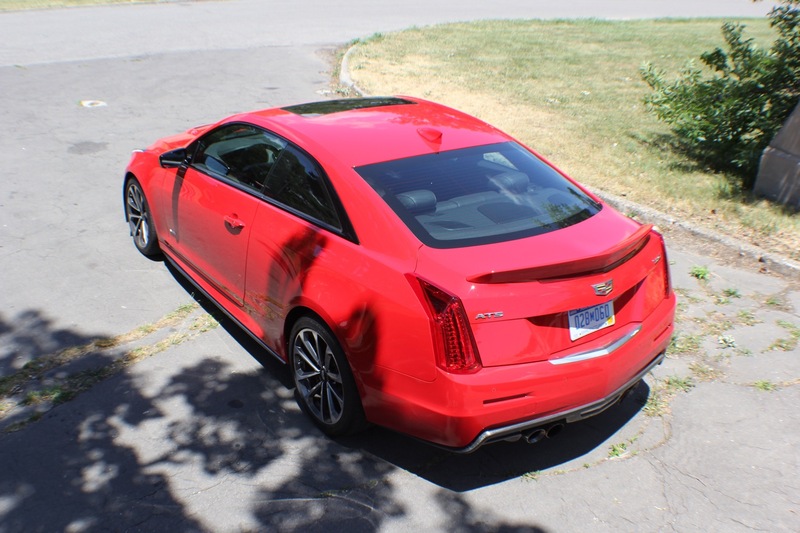 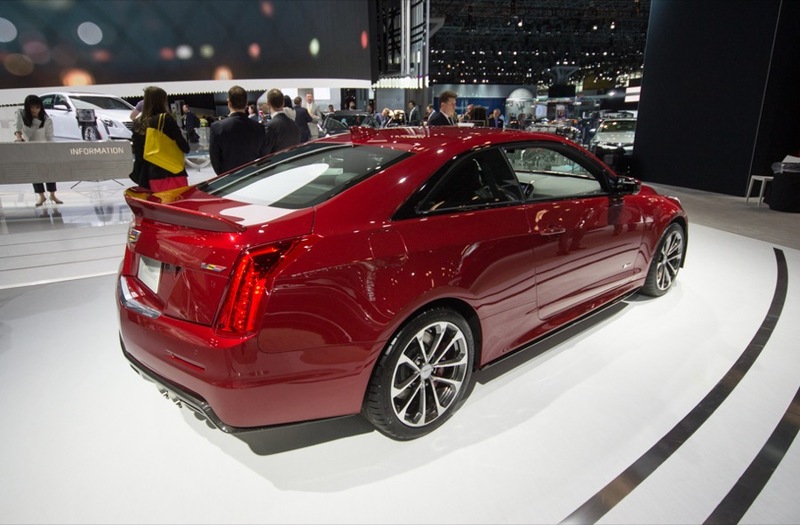 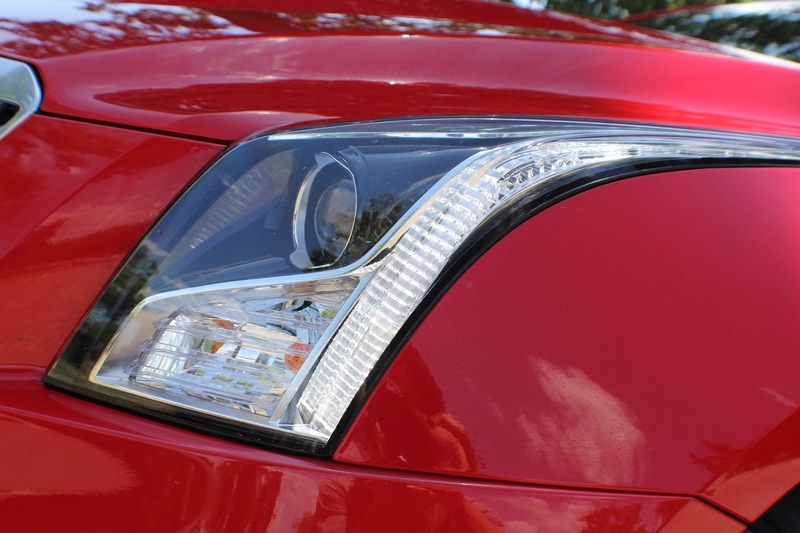 The 2016 Cadillac ATS-V two-door coupe is joined by the four-door 2016 Cadillac ATS-V Sedan. 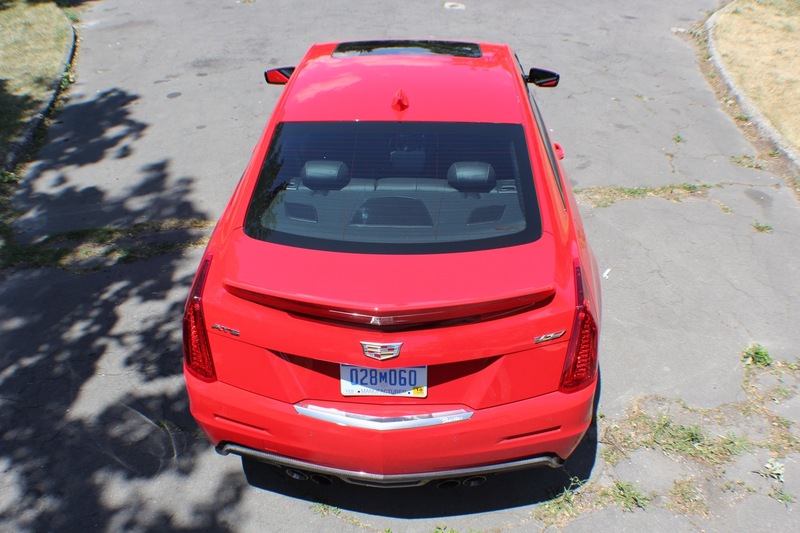 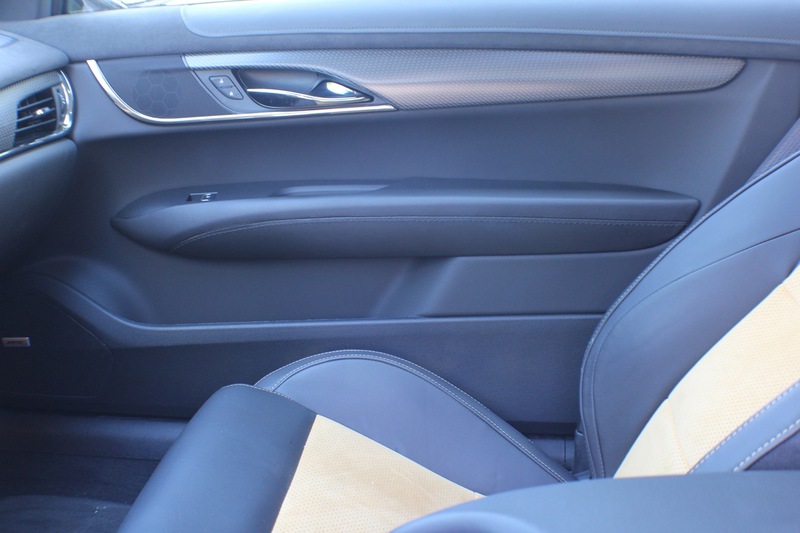 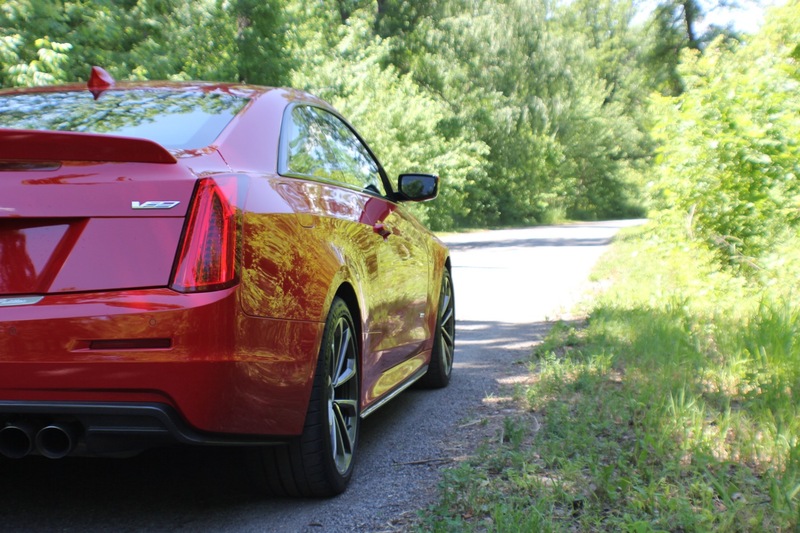 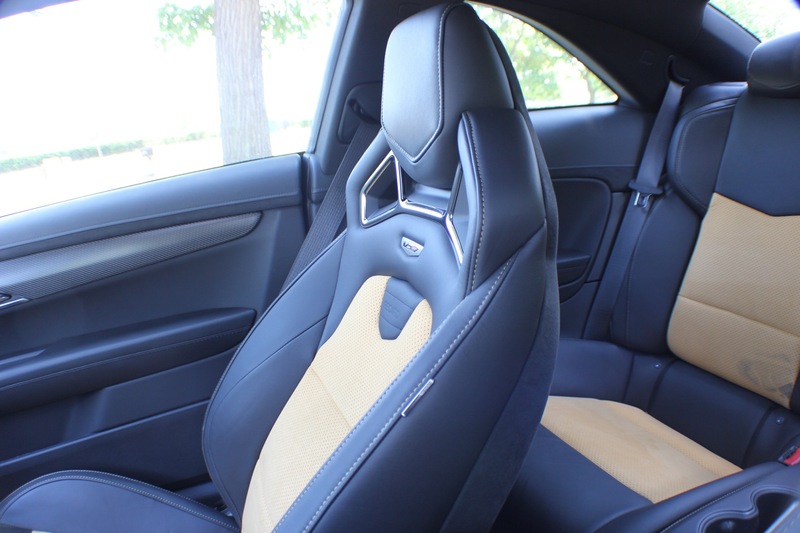 Like the ATS-V Sedan, the 2016 Cadillac ATS-V Coupe is offered in one well-equipped trim level called “Standard”. 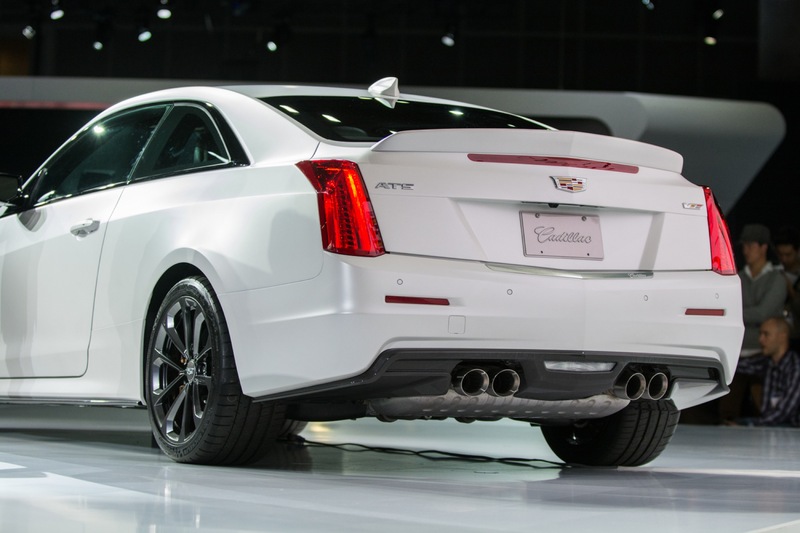 The 2016 ATS-V range — the 2016 ATS-V Sedan and 2016 ATS-V Coupe — began arriving to dealers in the fourth quarter of 2015.